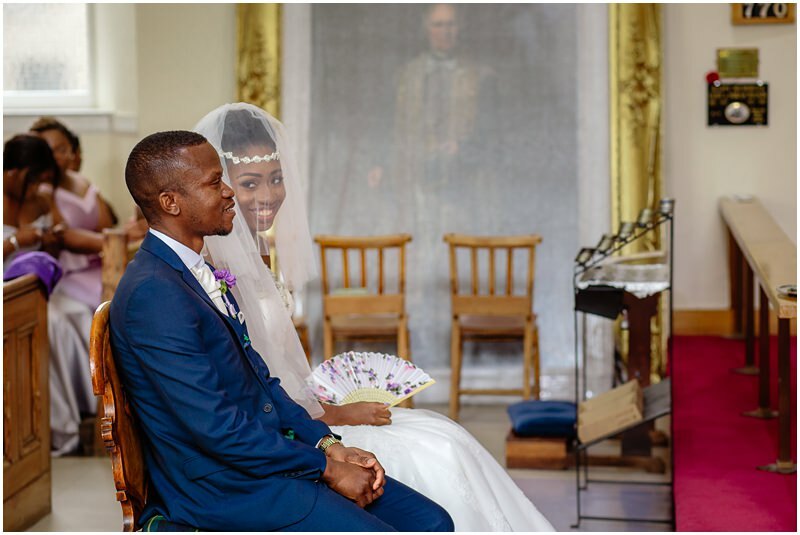 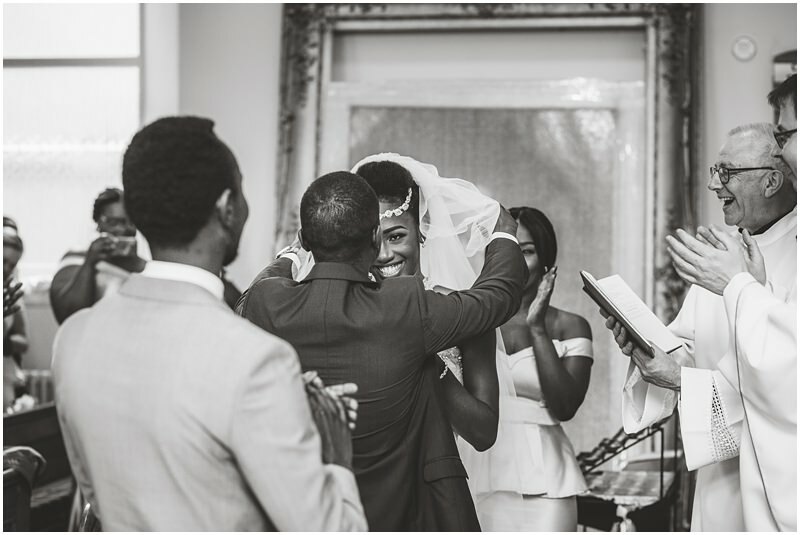 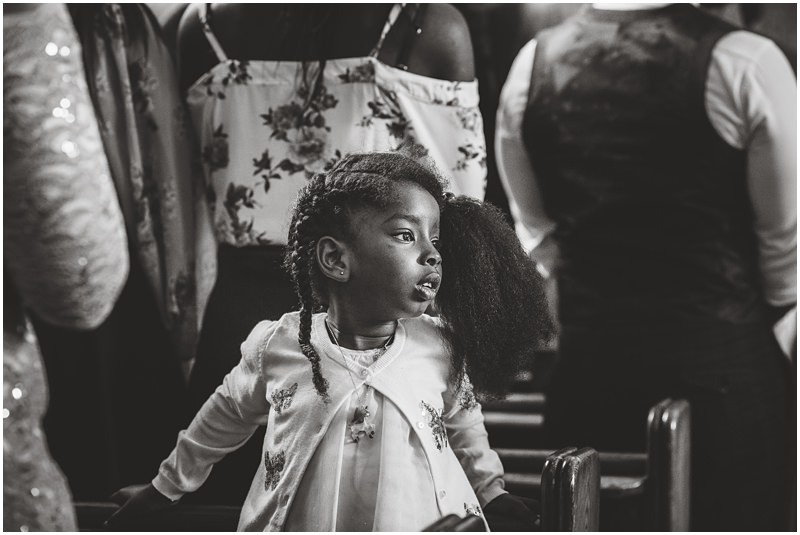 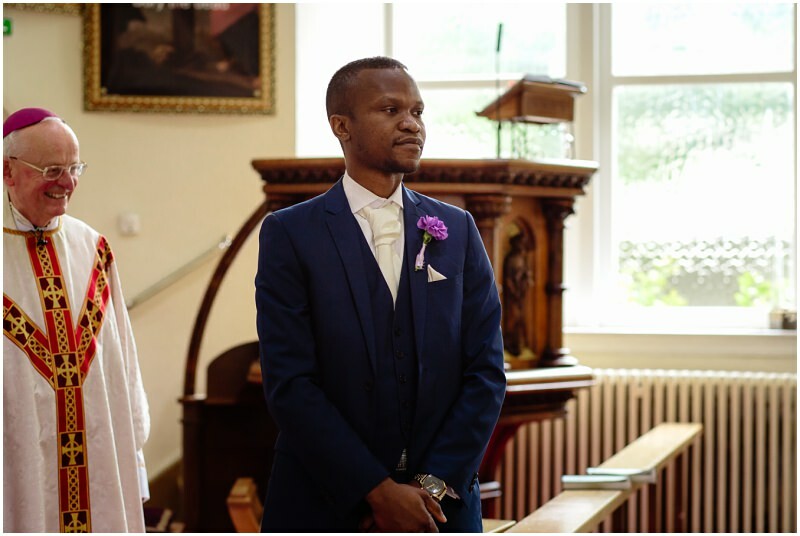 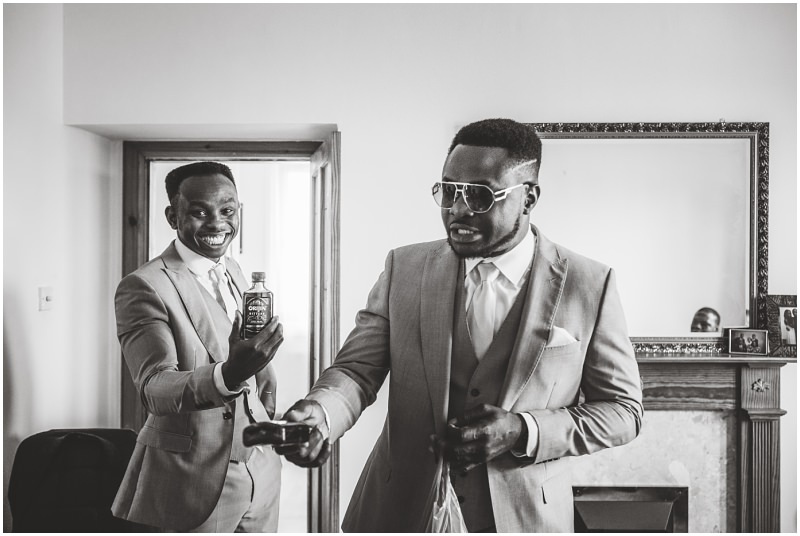 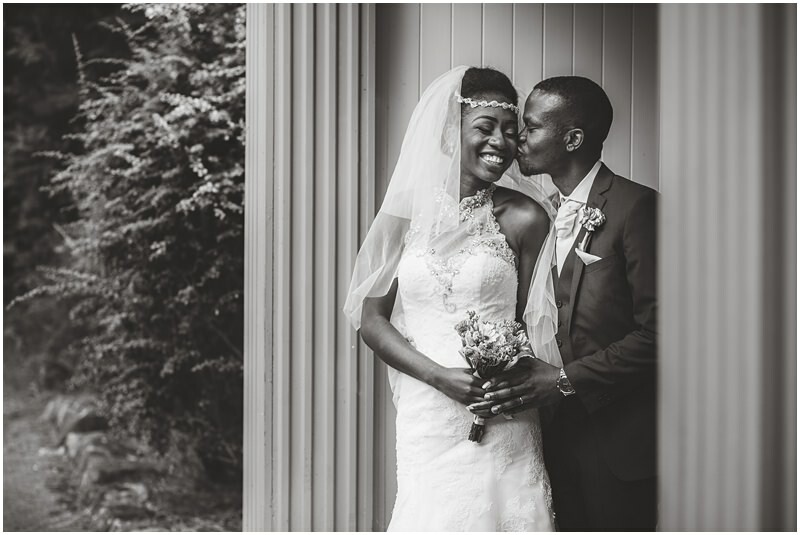 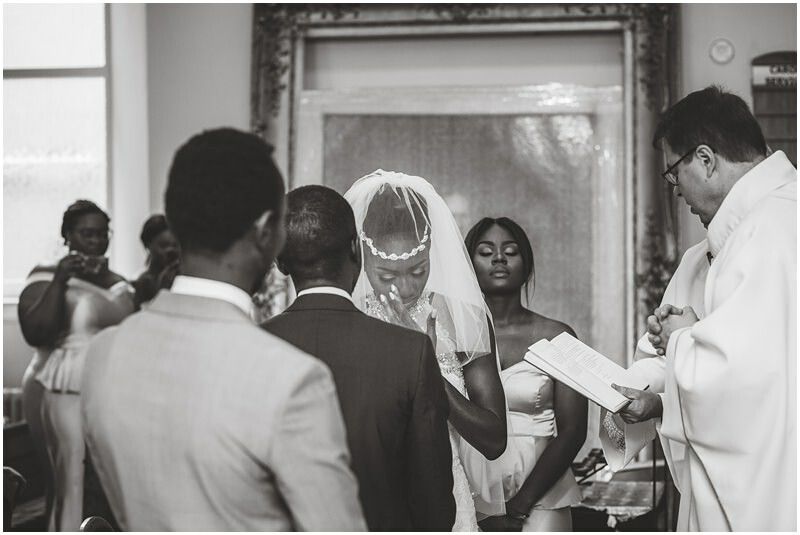 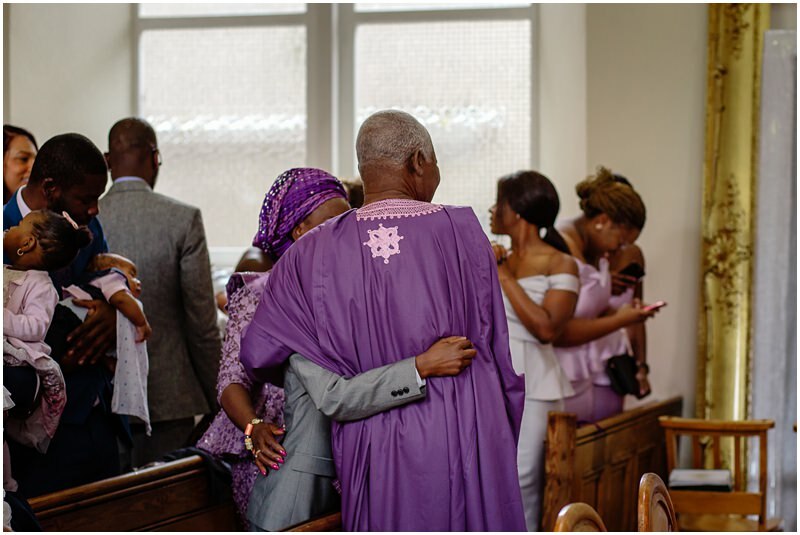 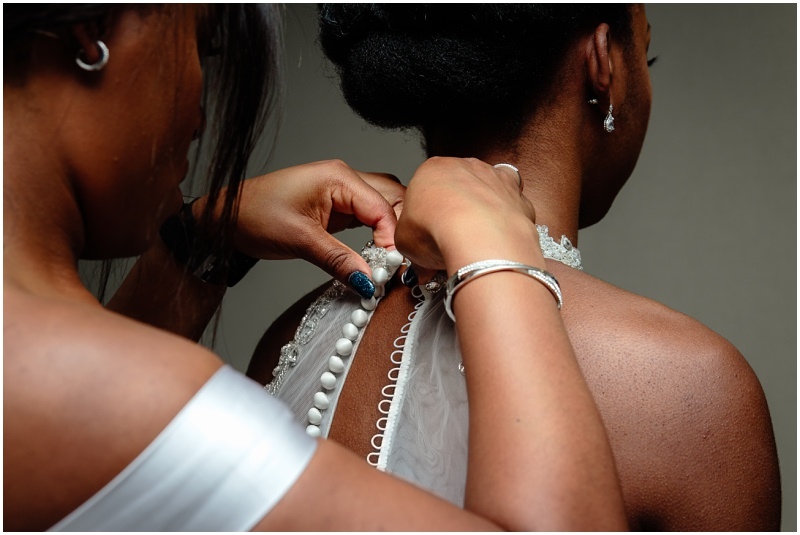 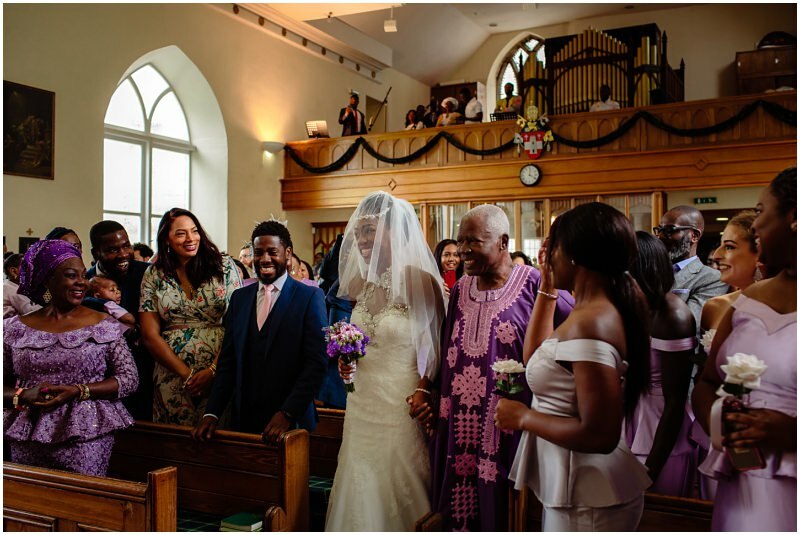 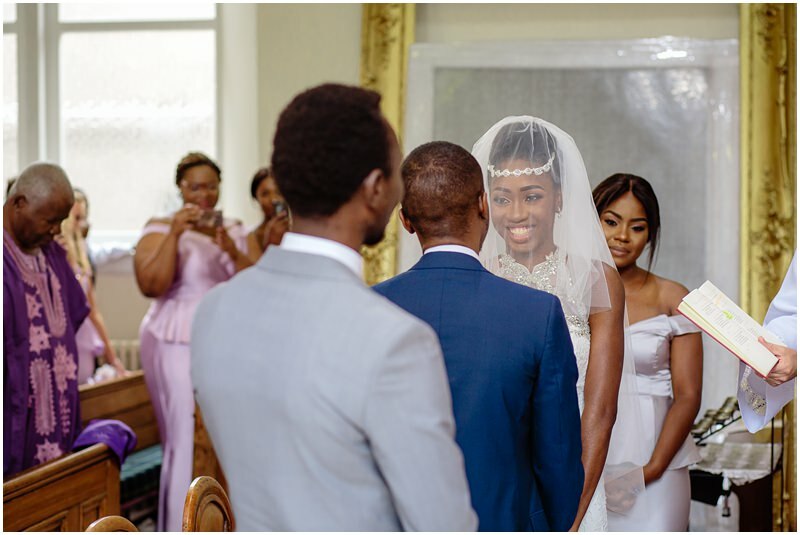 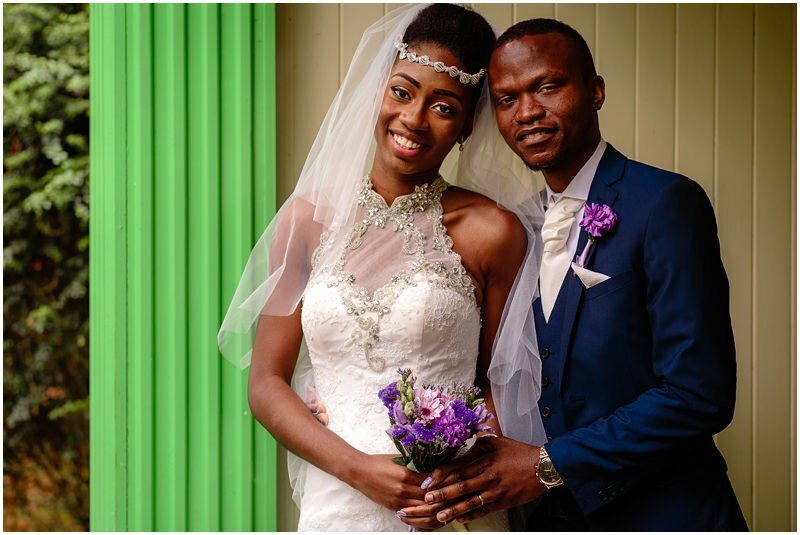 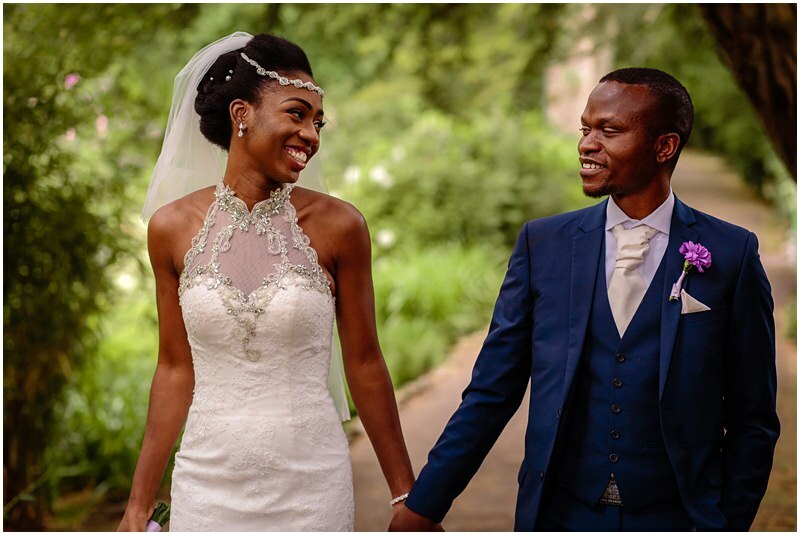 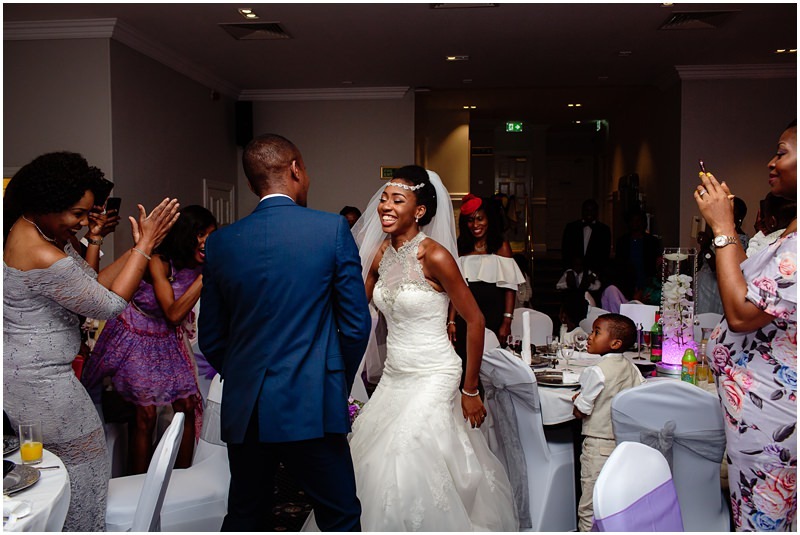 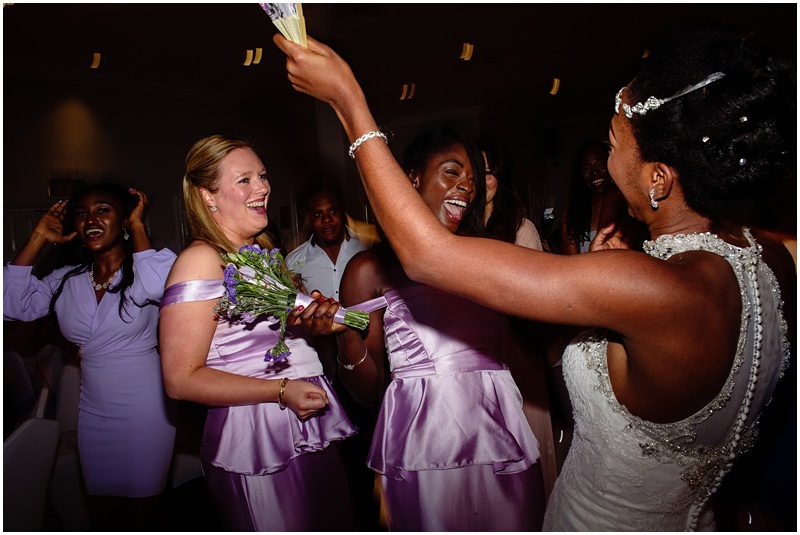 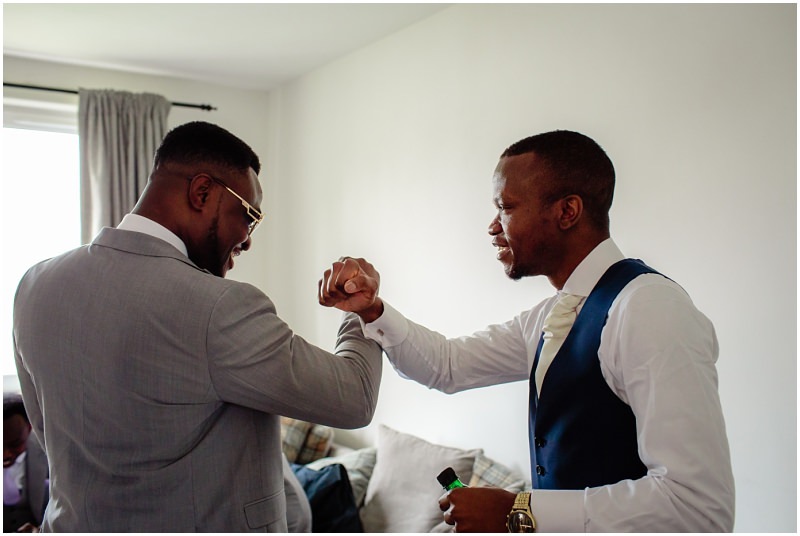 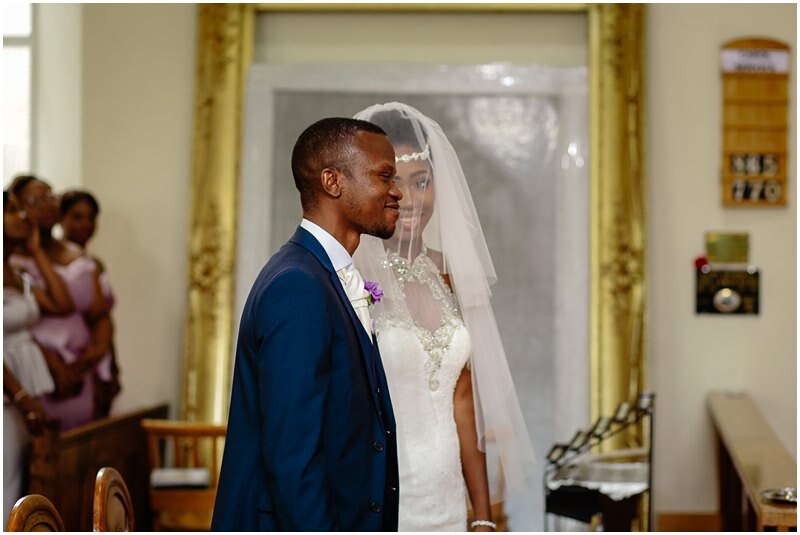 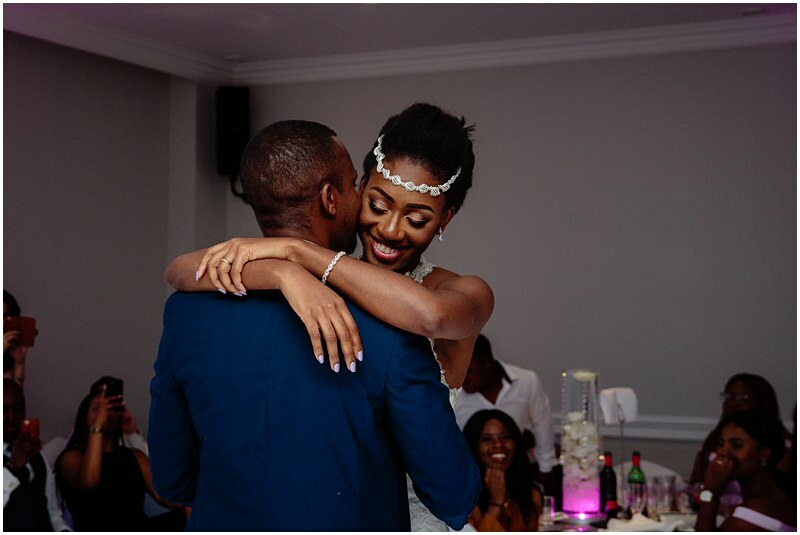 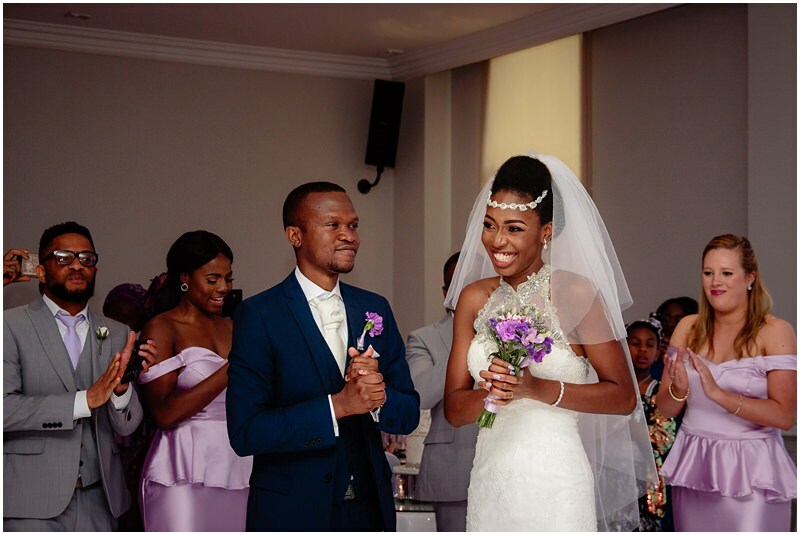 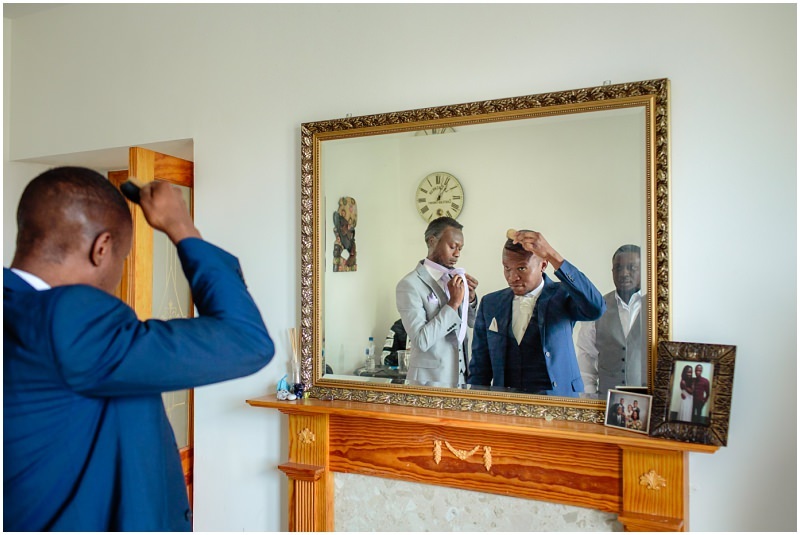 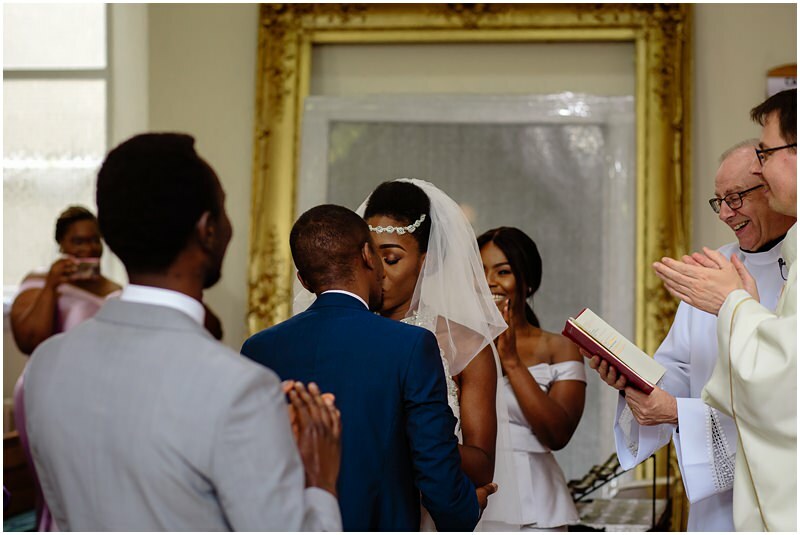 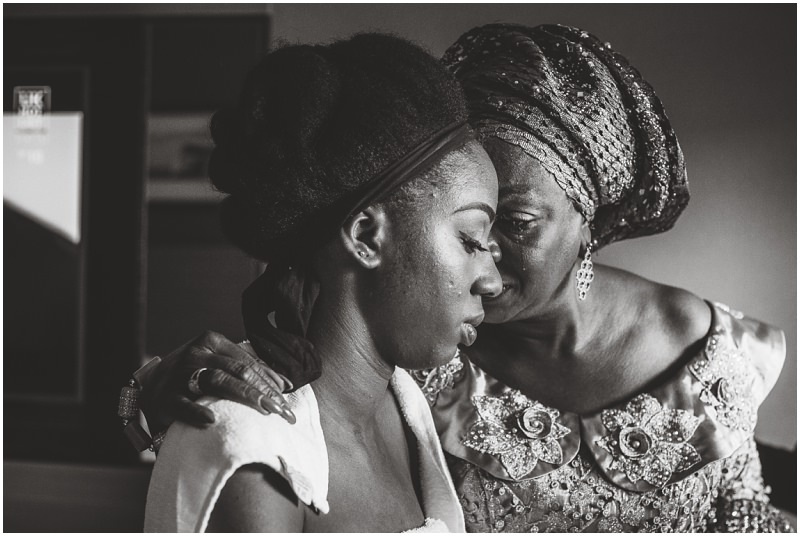 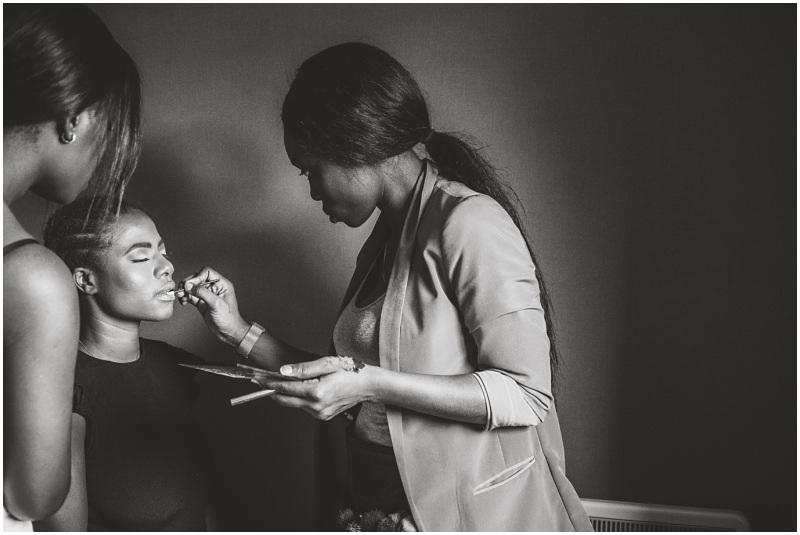 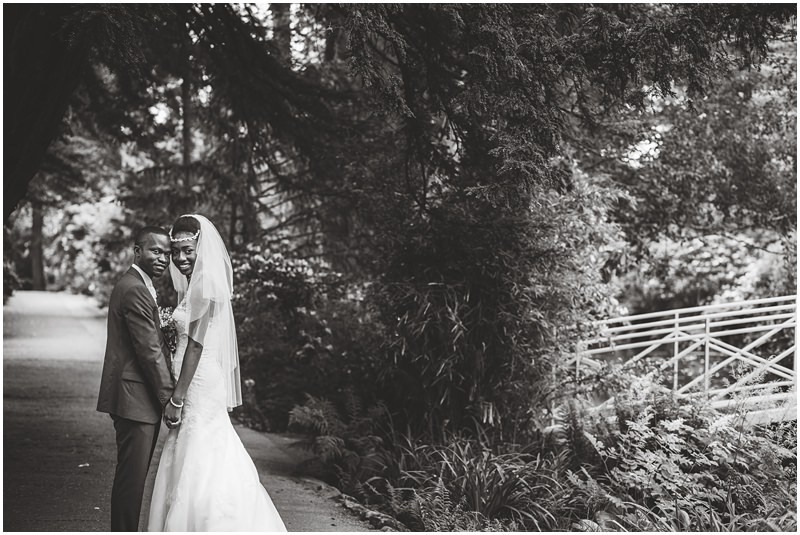 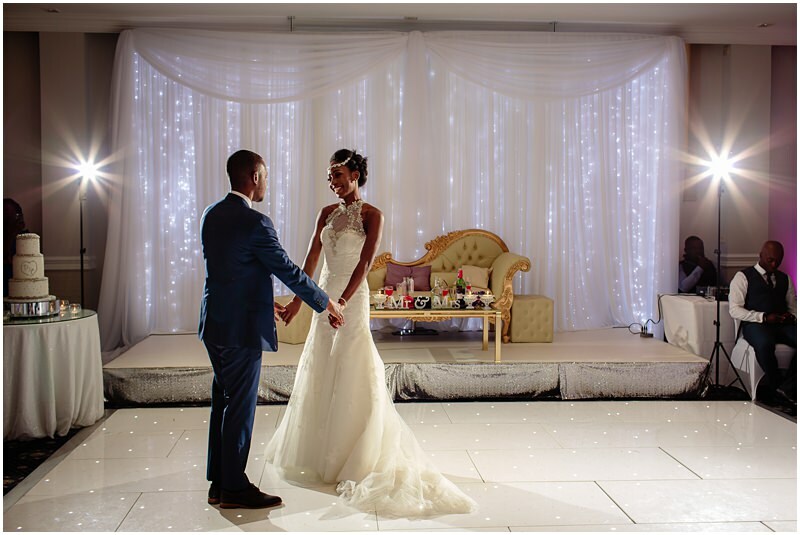 Tobi and Demi prioritised family and friends on their wedding day, rather than getting caught up on all the small details. 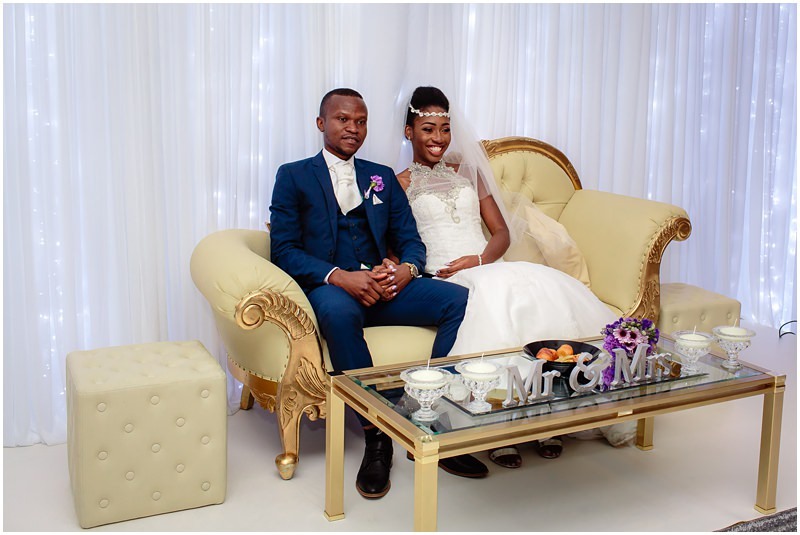 We should also say this was their second wedding…. 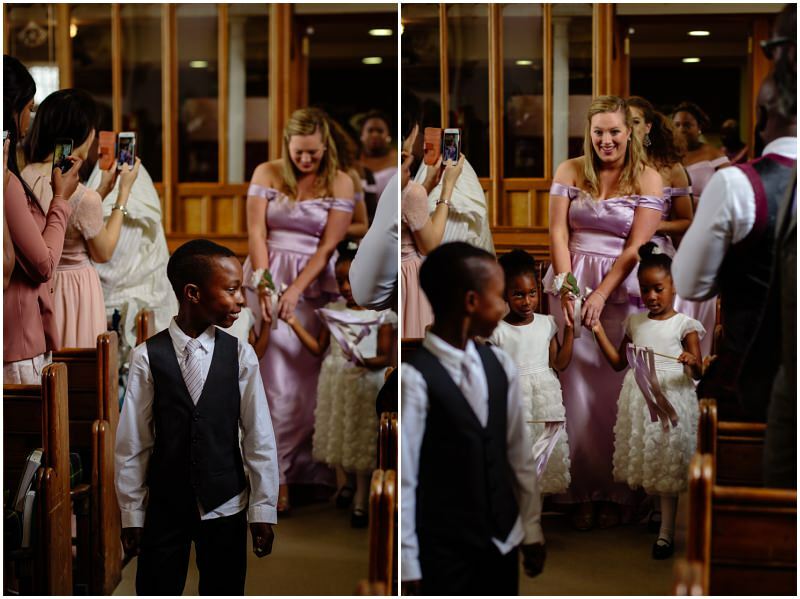 yes, they did it twice! 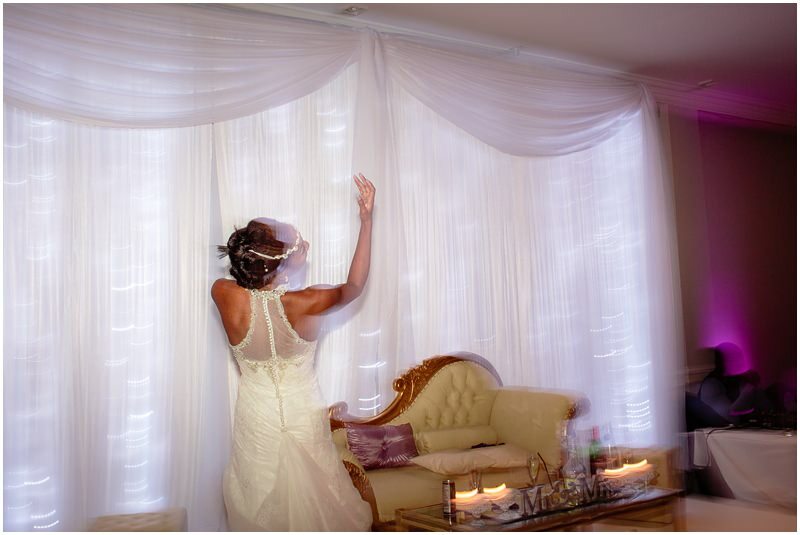 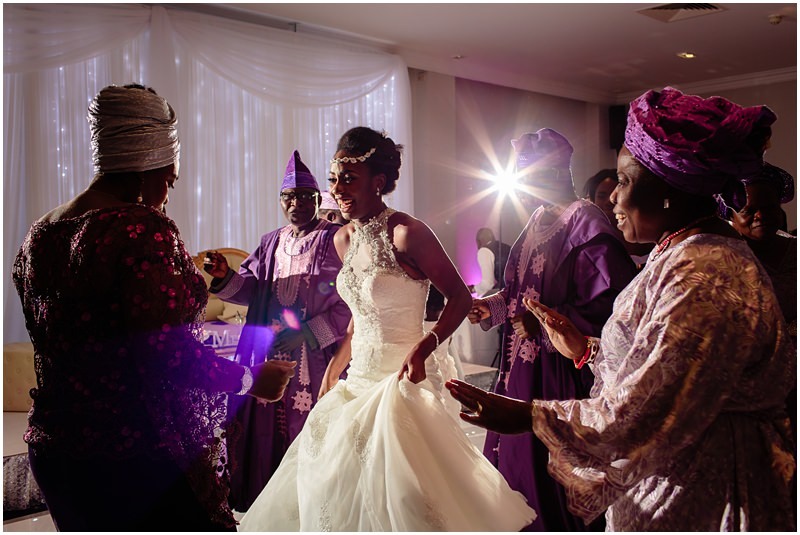 The first ceremony was a traditional Nigerian one in Lagos. 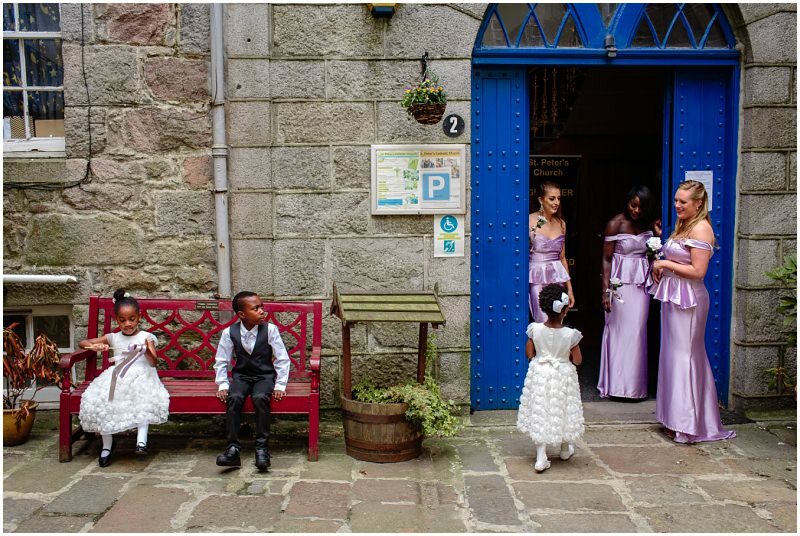 Sadly, we didn’t get to go there but we hear it was as much of a party as their Scottish wedding! 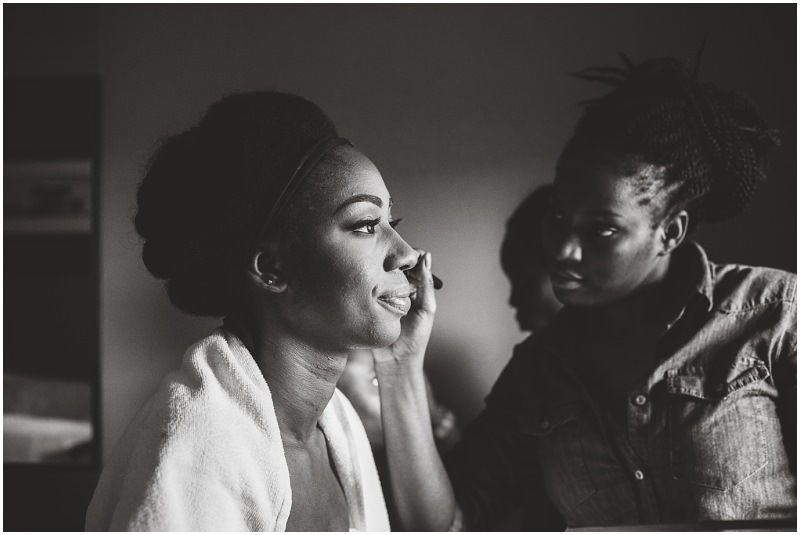 It all started with the usual getting ready scenes. 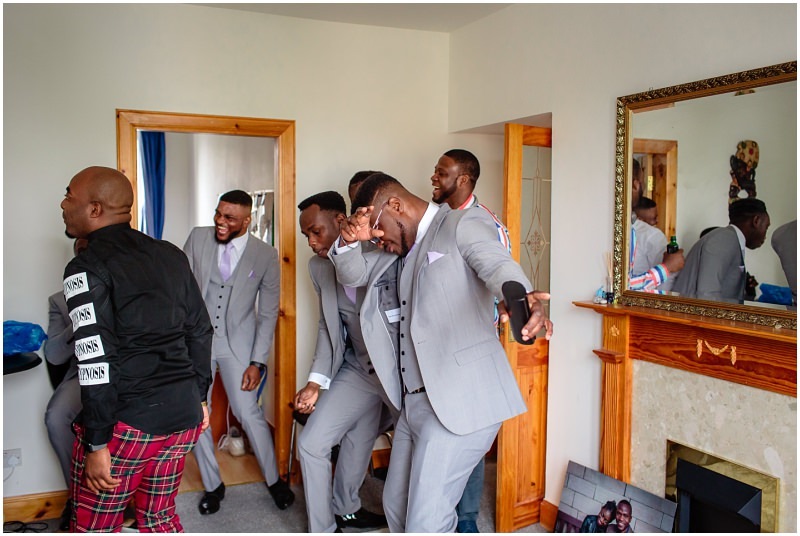 It was so much fun with the men that morning as they danced and drank a traditional Nigerian drink called Orijin (a bittersweet blend with flavours of African herbs and fruit). 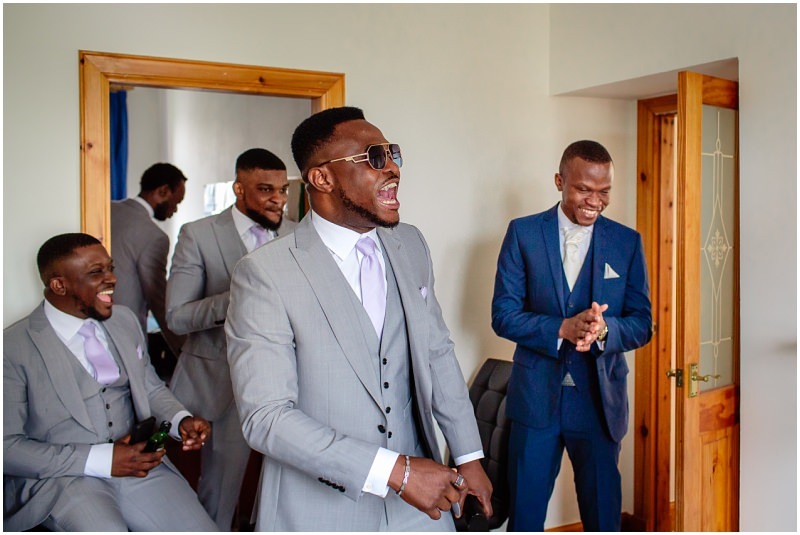 There were 6 groomsmen as well as the best man and Tobi the groom, so it was a lively house. 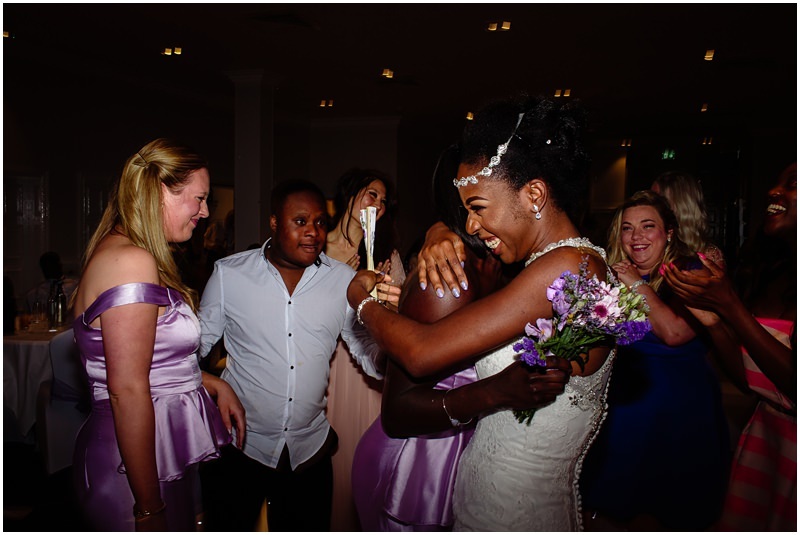 Demi had a maid of honour and five bridesmaids too. 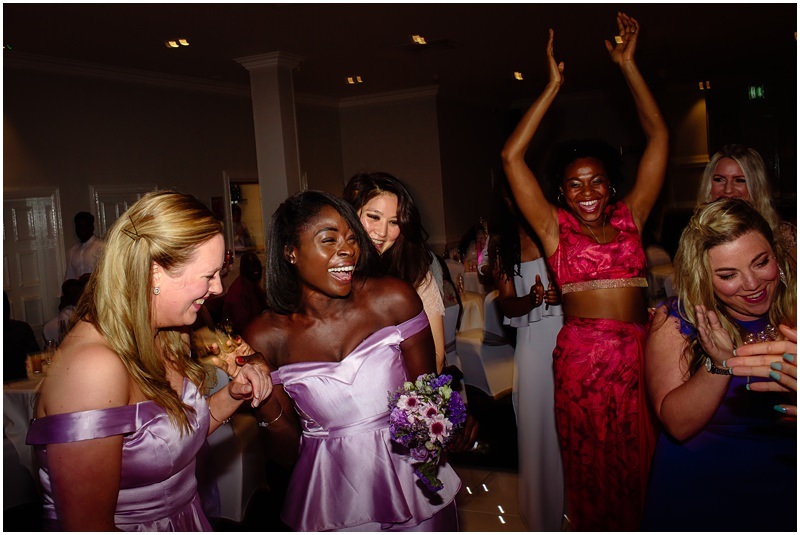 It was quite the bridal party! 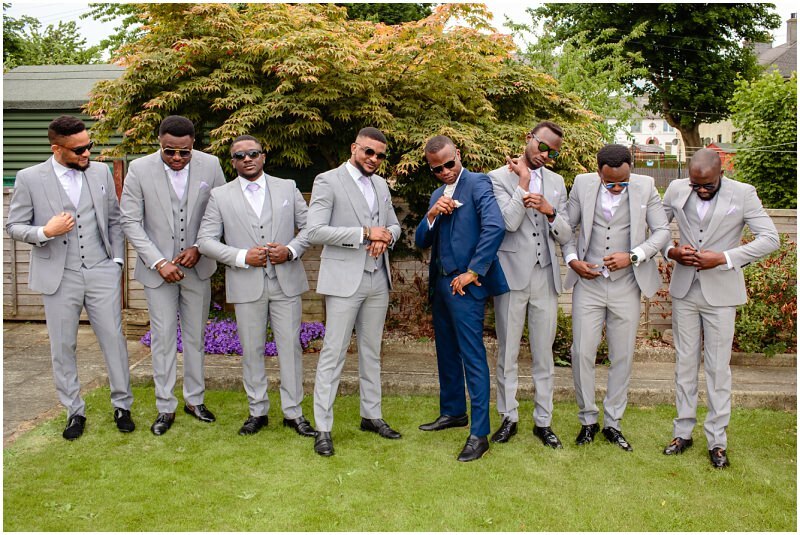 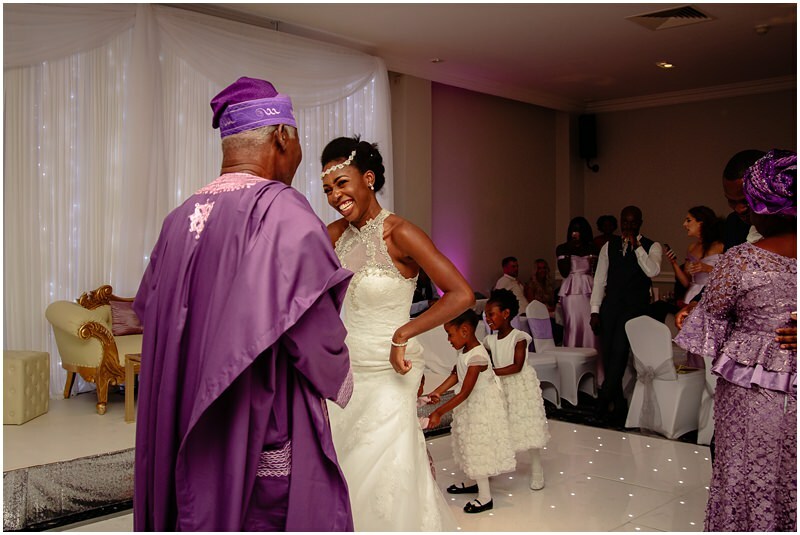 We loved that they had a colour theme and their bridal party all coordinated with shades of purple and silver. 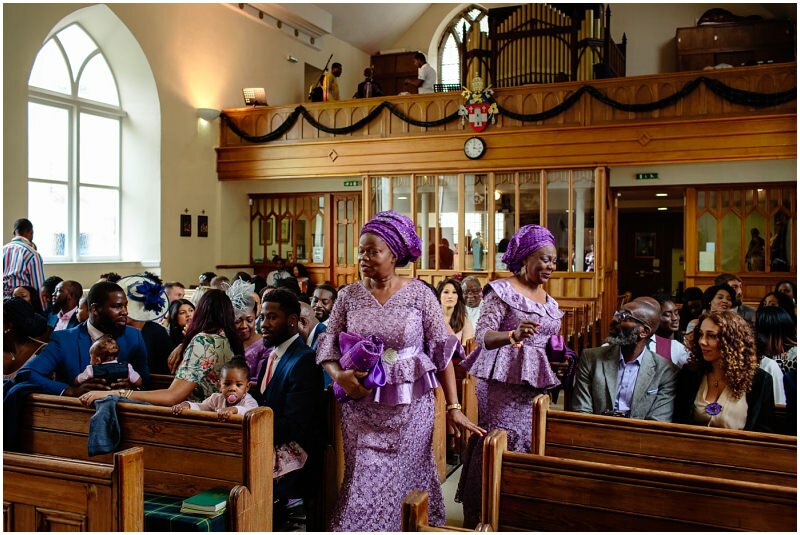 In traditional Nigerian culture, the families also dress in these colours. 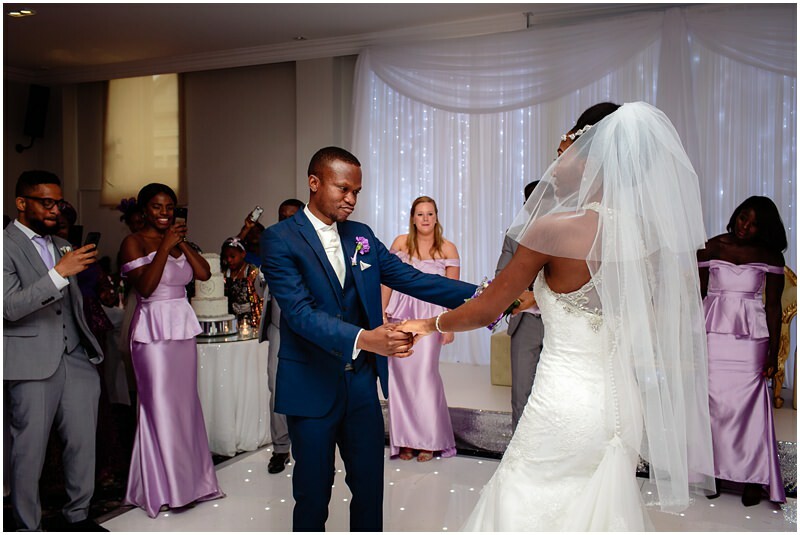 It looked awesome on the day, so vibrant and stylish. 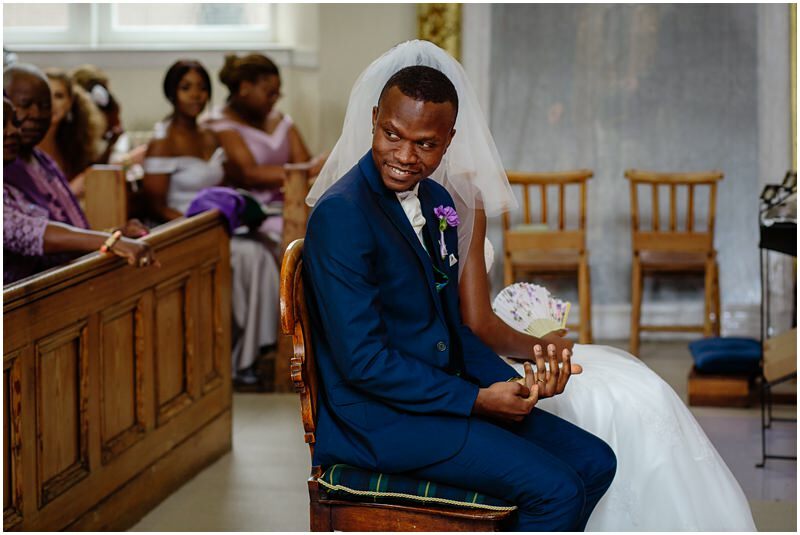 The pair were married in St Peter’s Catholic Church…and the funniest thing was that Demi knew that her family were always really late, so she told them their ceremony was at 12pm. 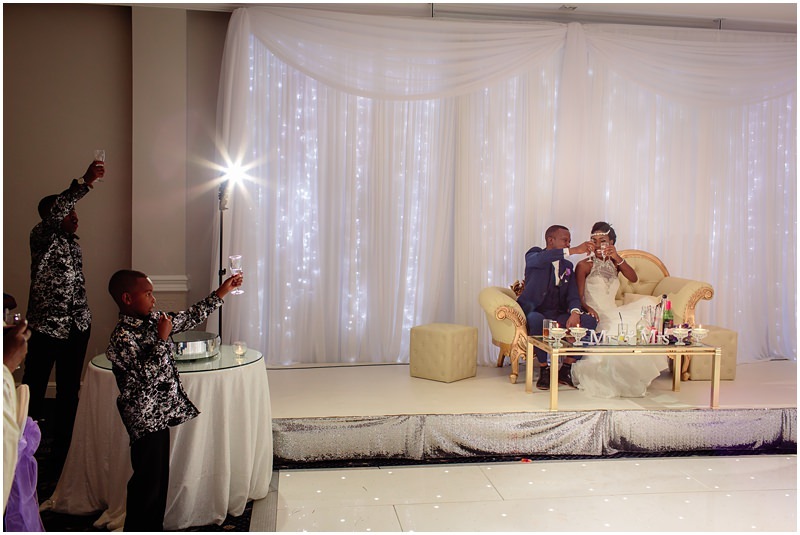 In reality it was at 2pm and there were still a few latecomers! 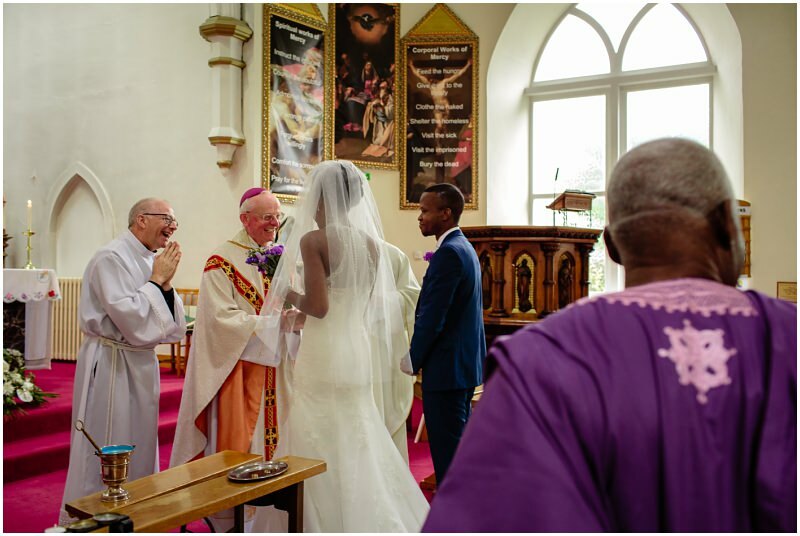 They were married by the Bishop of Aberdeen, Hugh Gilbert and Father Gabor. 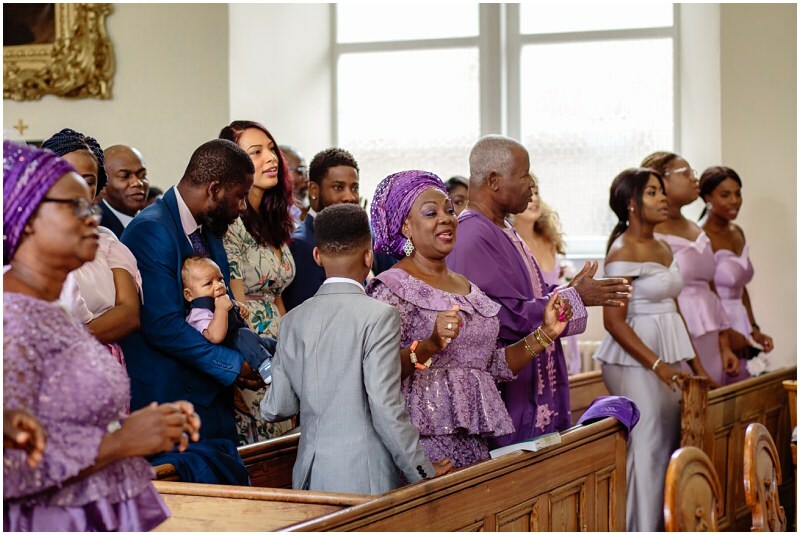 Both Demi and Tobi were delighted that the Bishop, who is a personal friend, could be there to oversee their vows and it meant a lot to them. 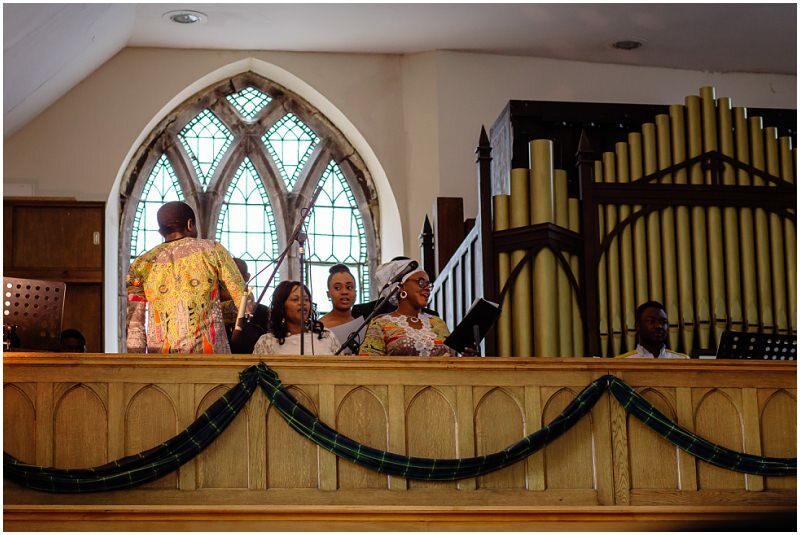 They also had a beautiful gospel choir sing during the ceremony. 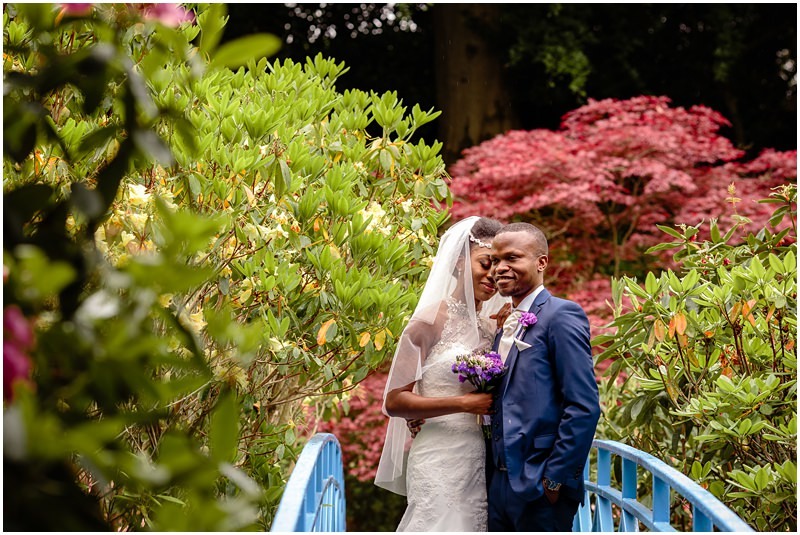 After the ceremony ended, we went to Johnston Gardens in Aberdeen’s West End for their bride and groom portraits. 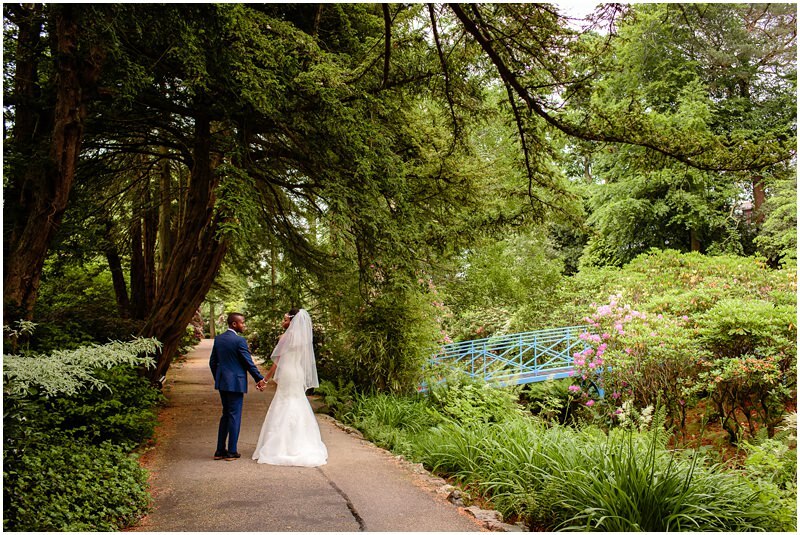 There was literally only about 5 minutes break in the rain that day, so we made the most of it and got some gorgeous shots of them in the gardens. 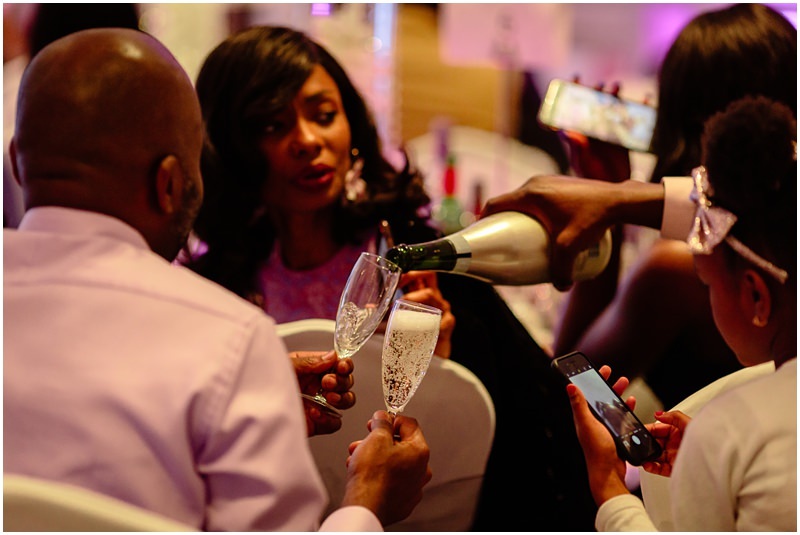 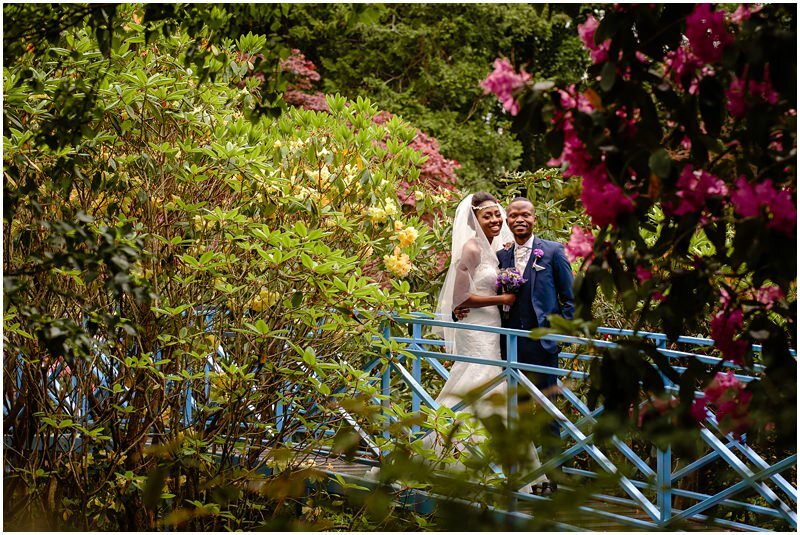 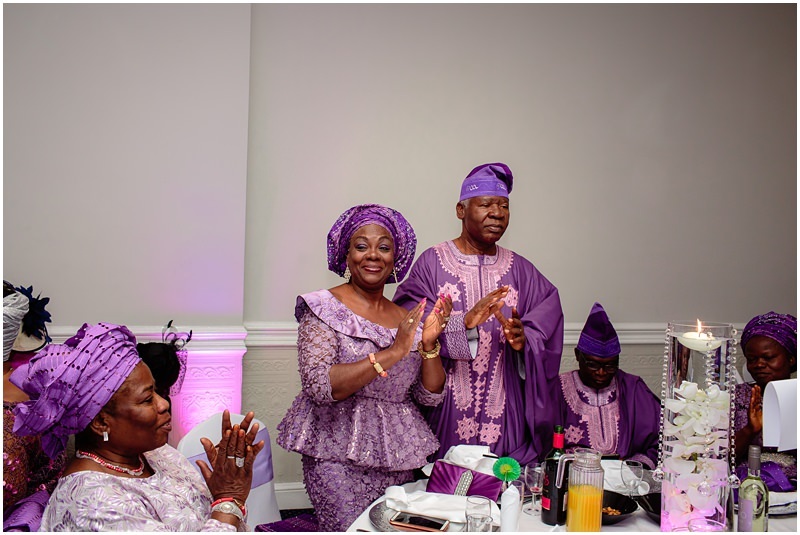 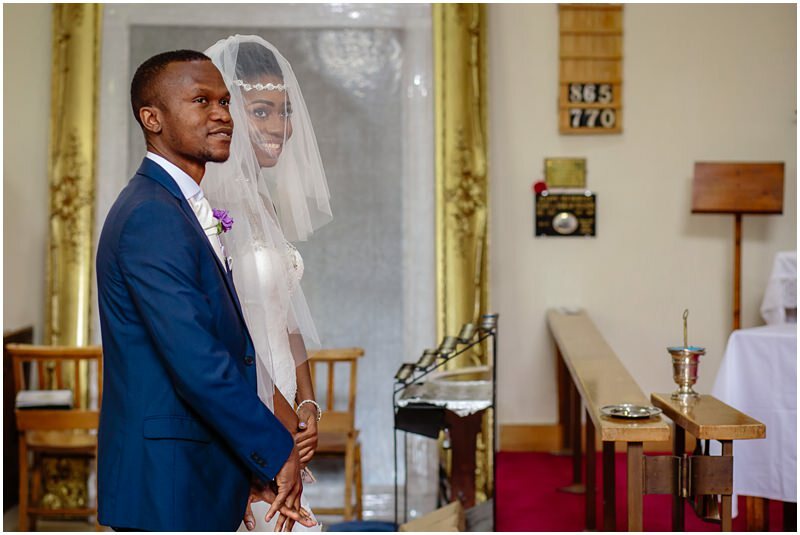 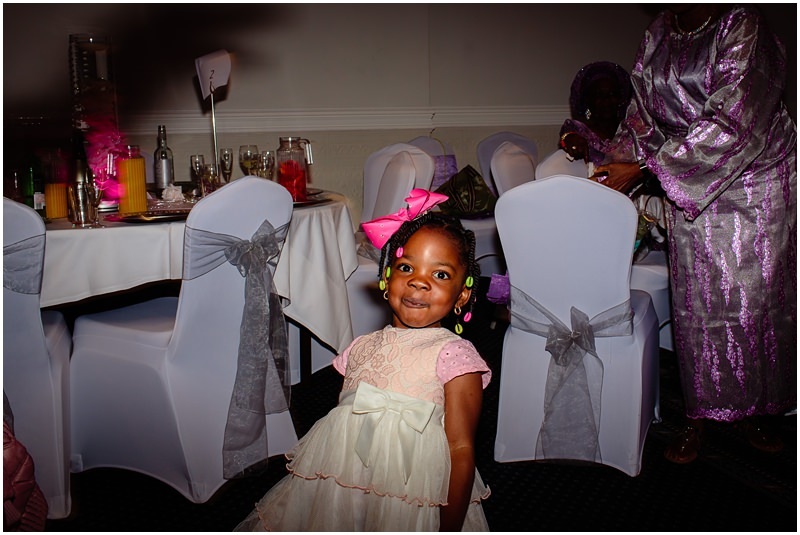 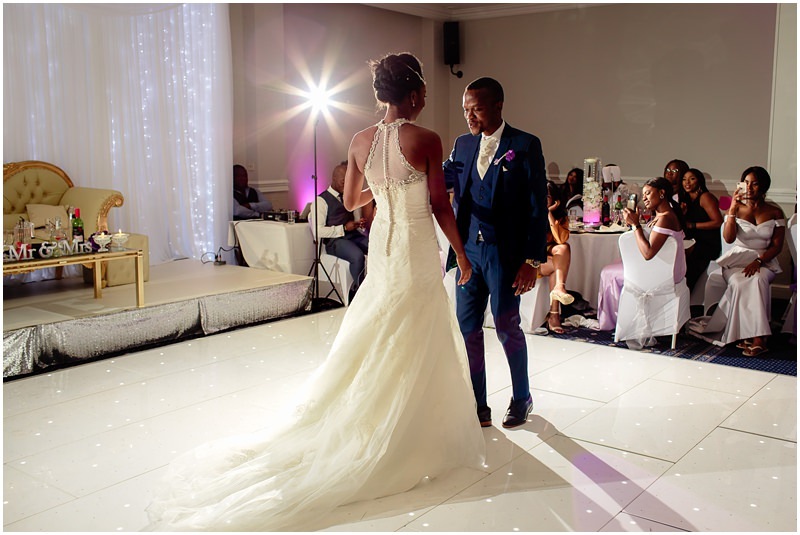 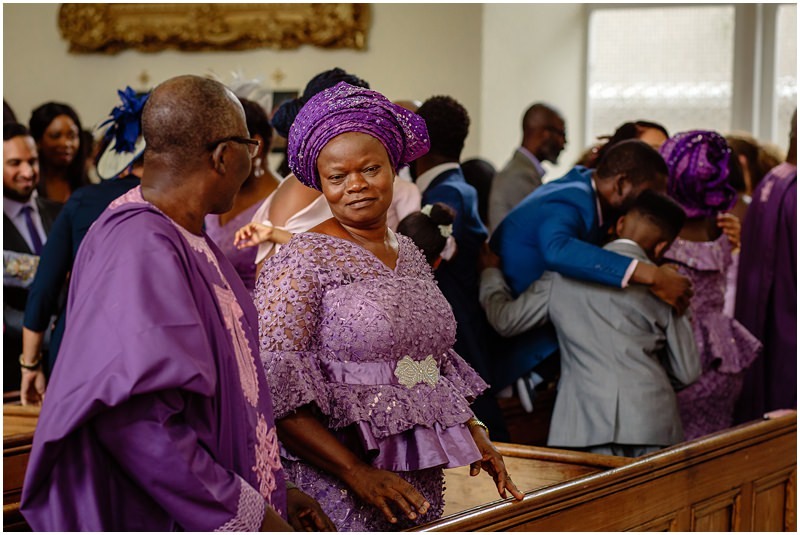 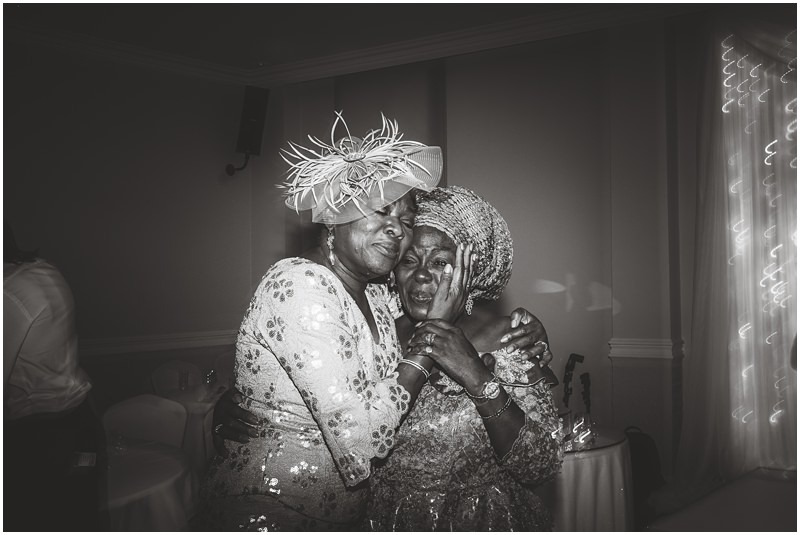 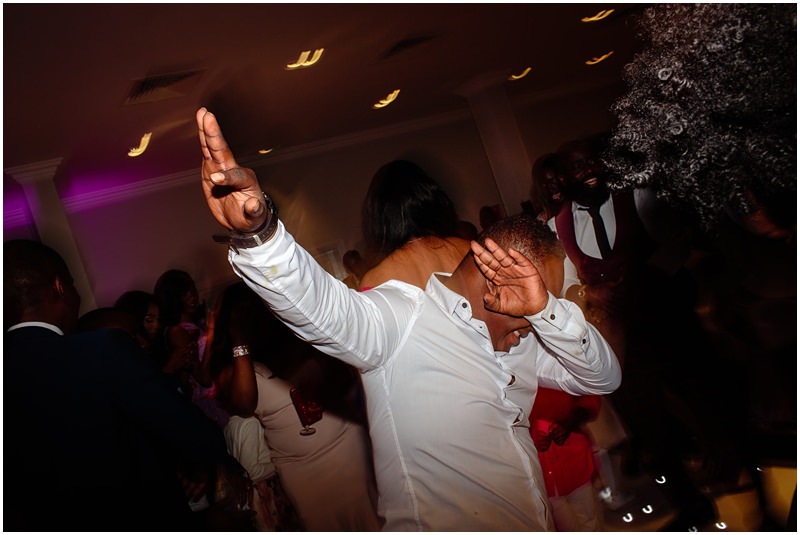 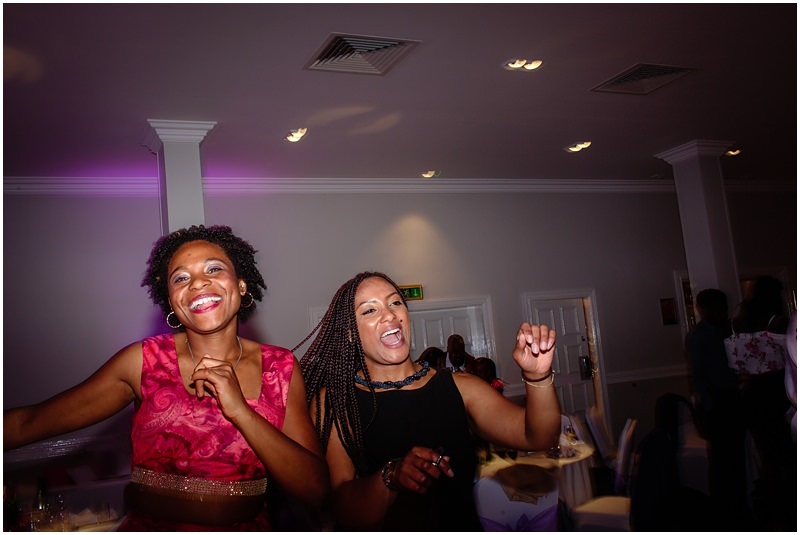 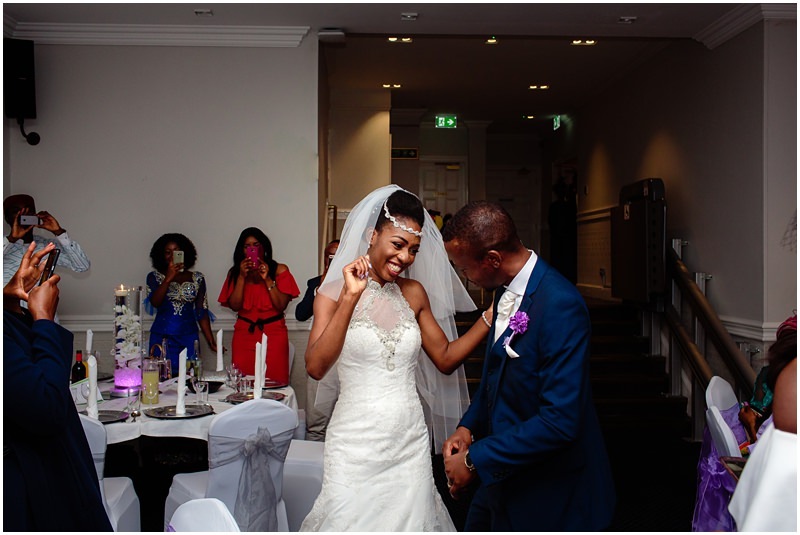 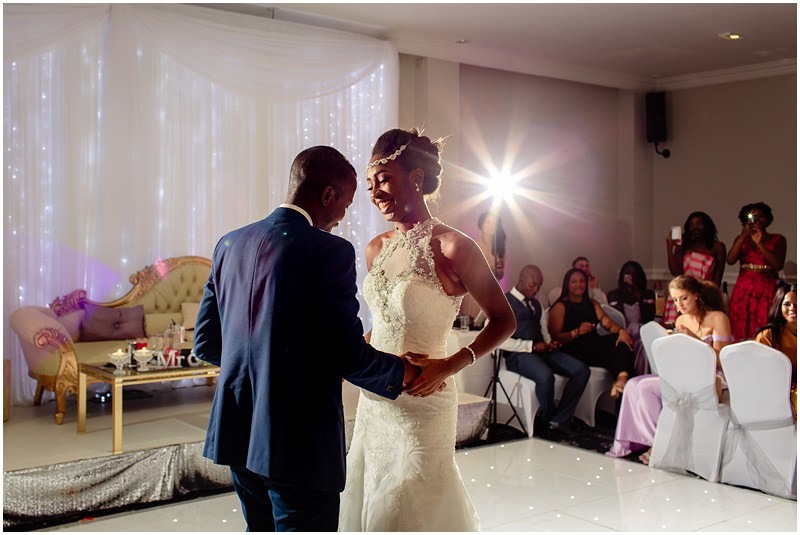 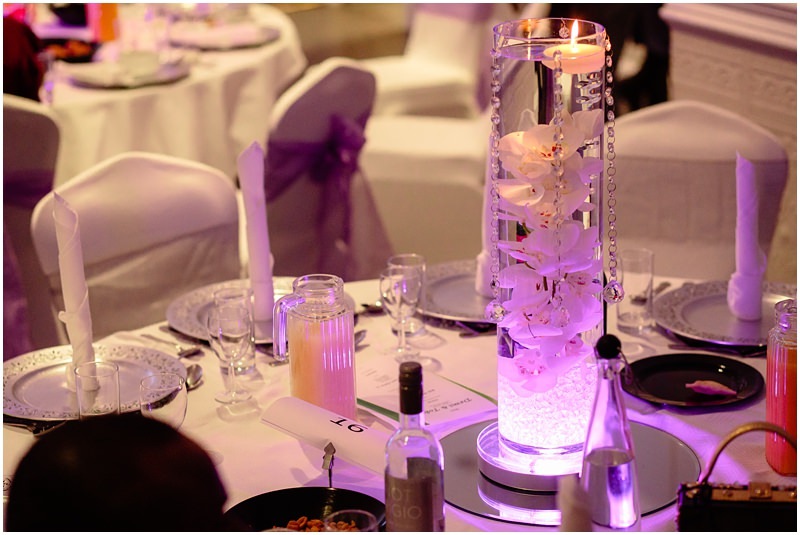 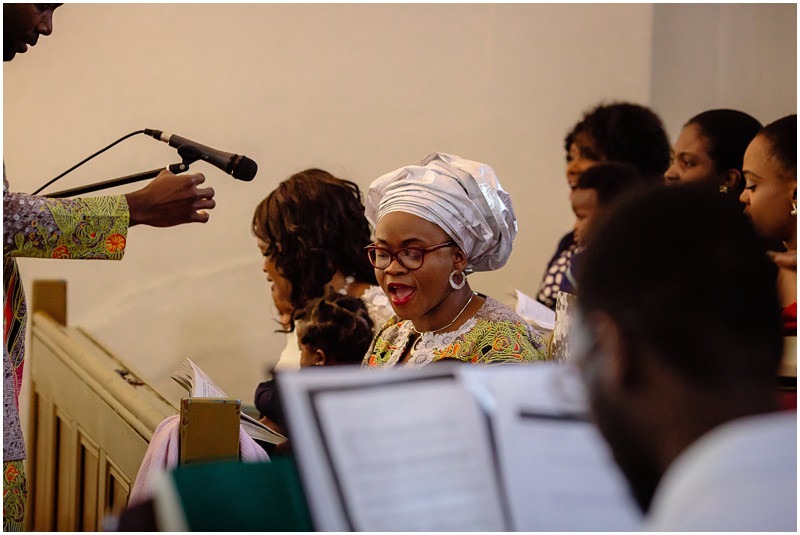 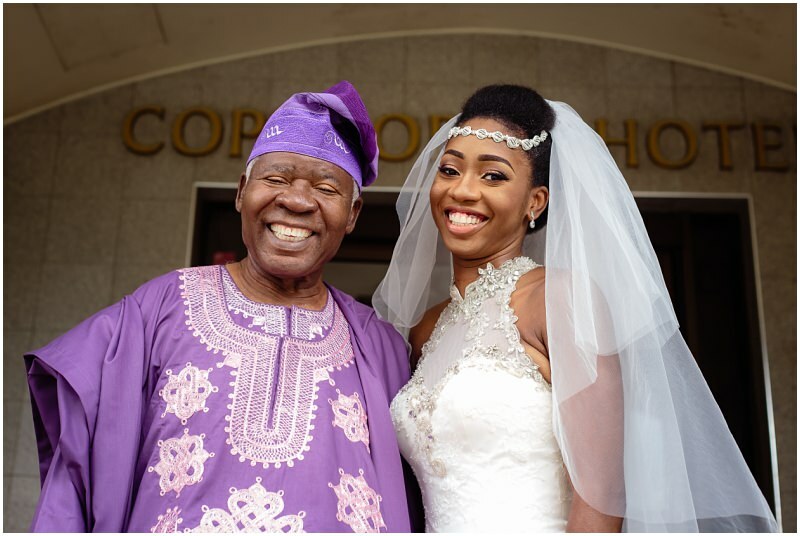 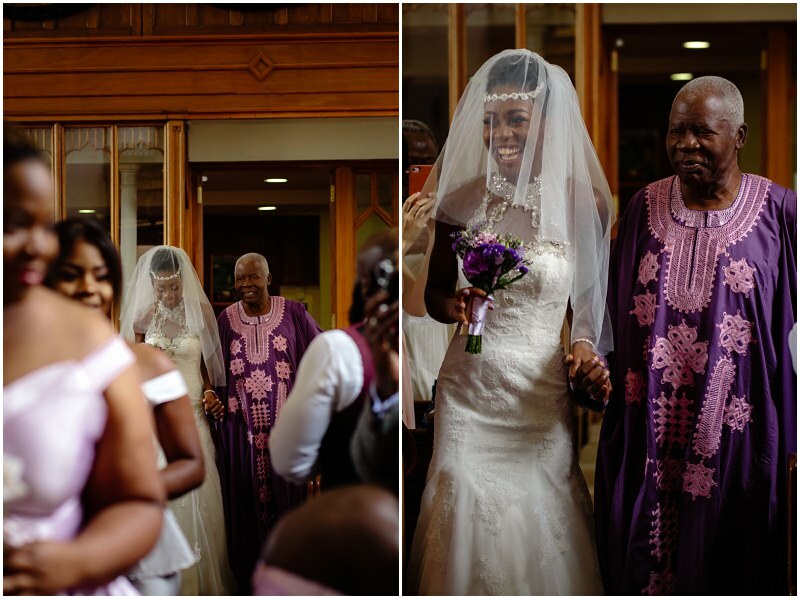 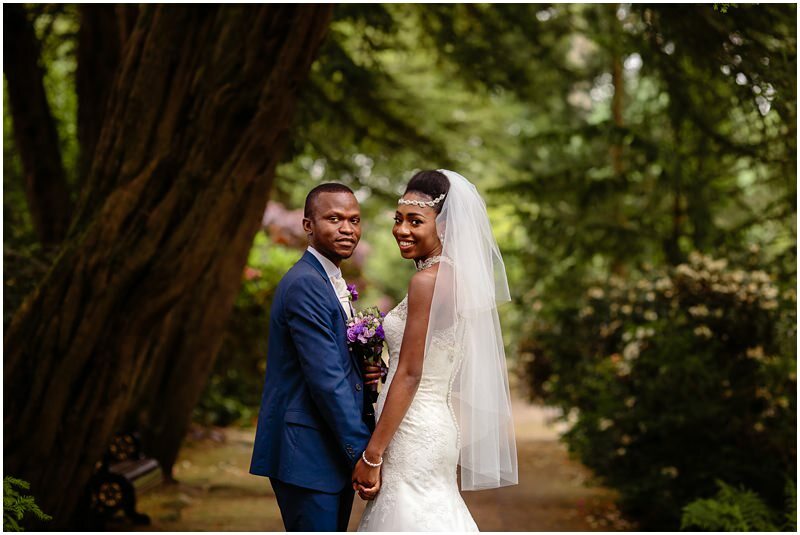 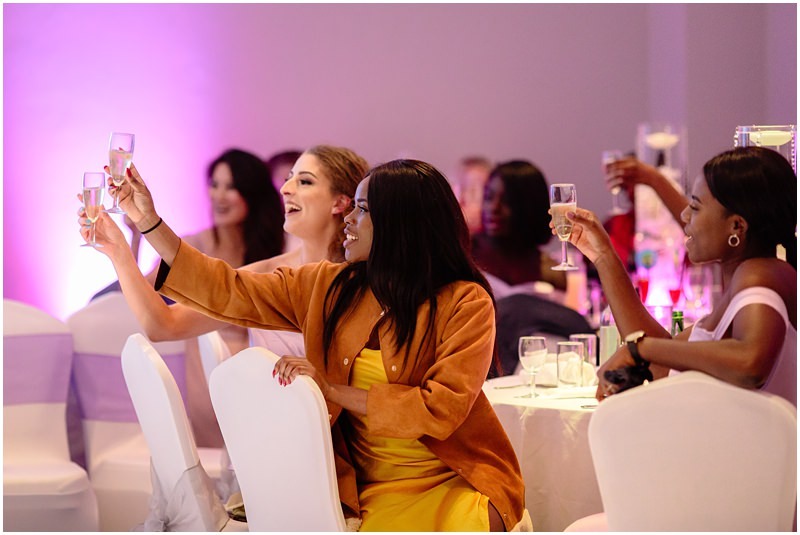 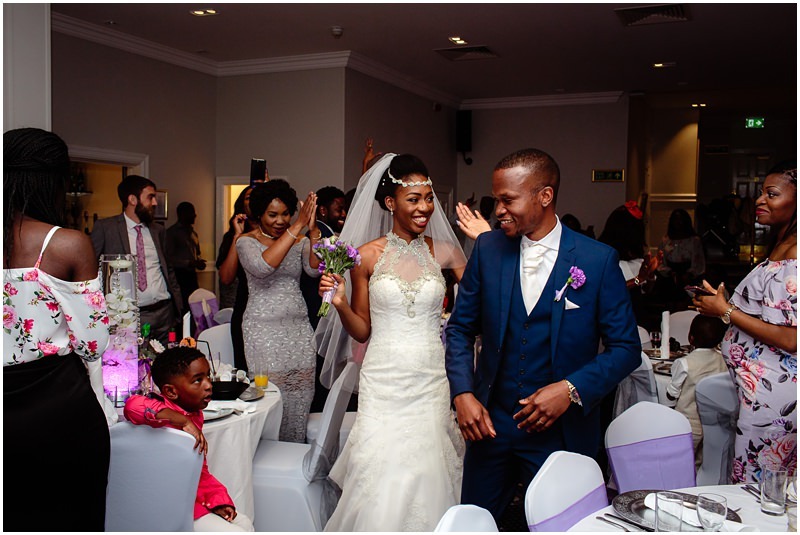 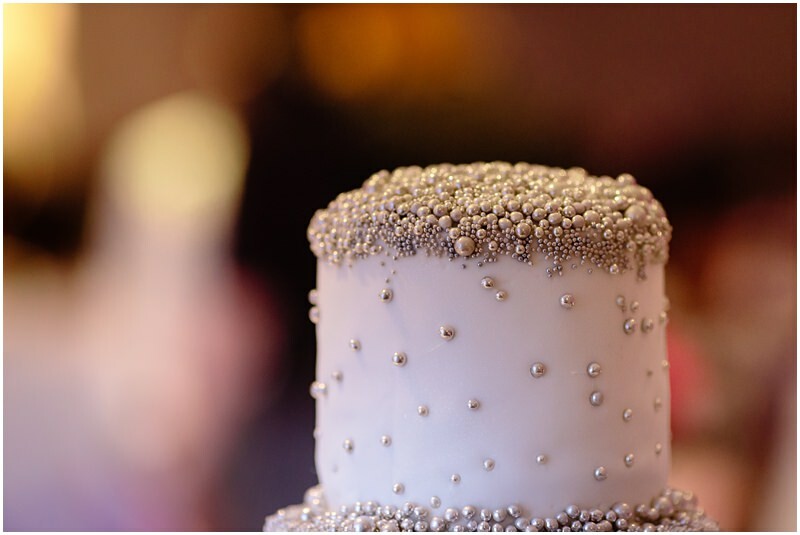 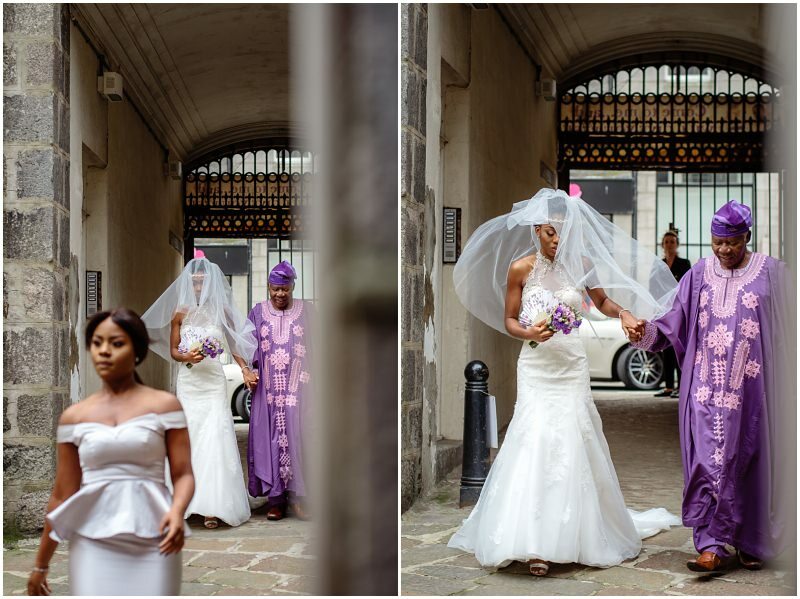 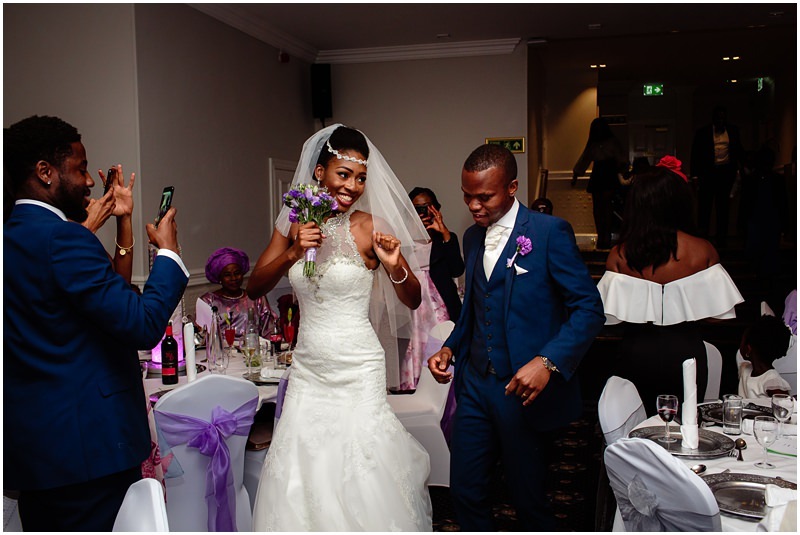 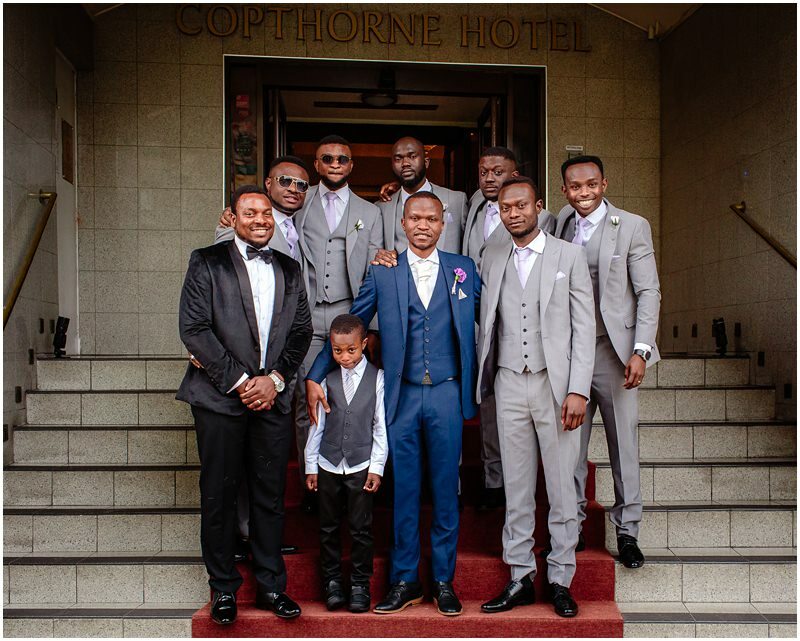 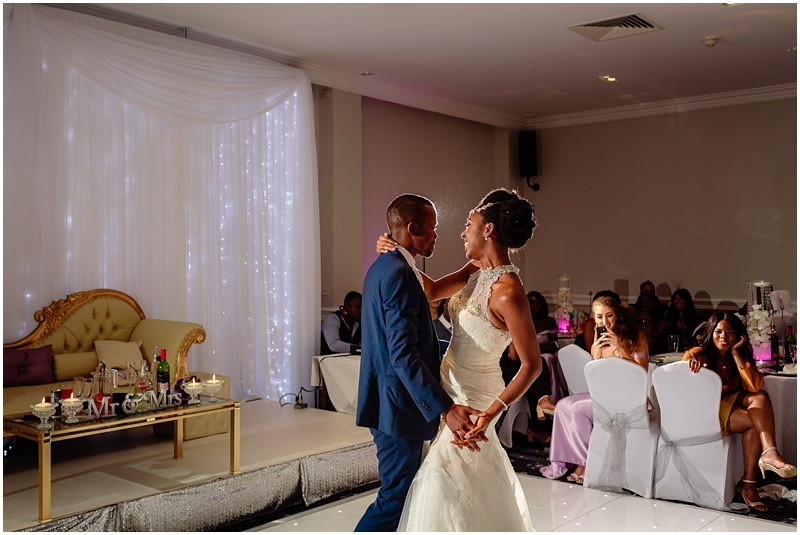 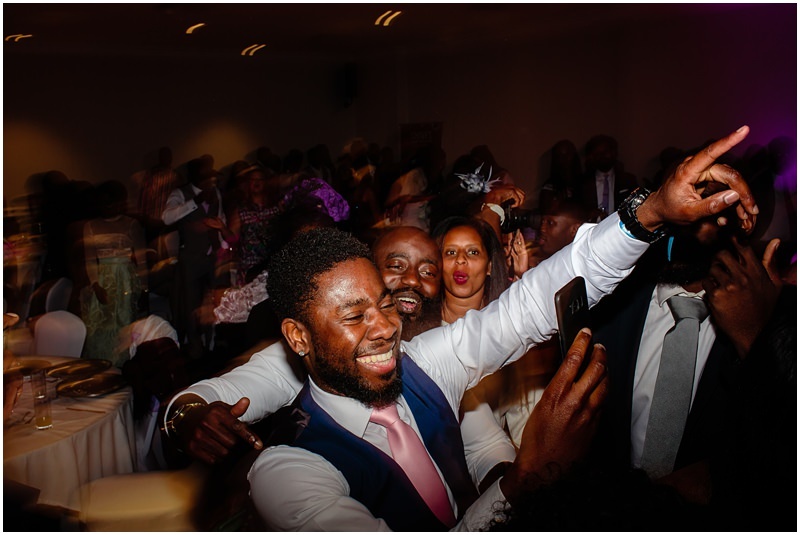 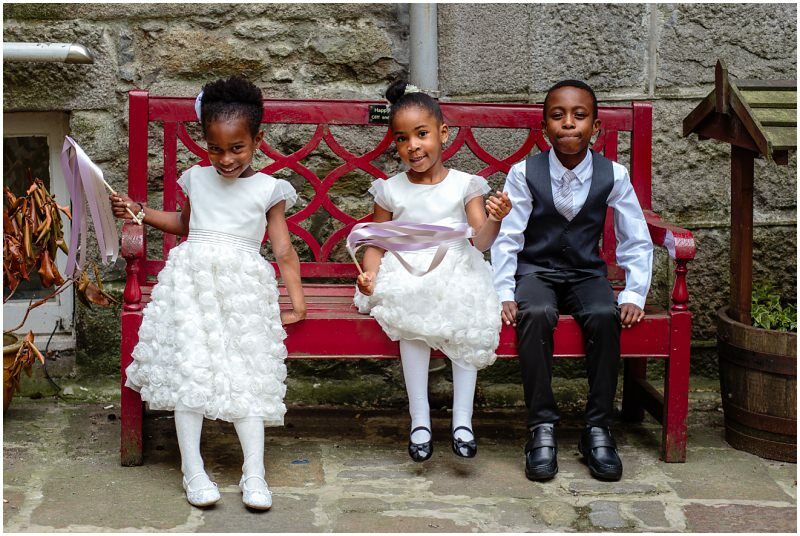 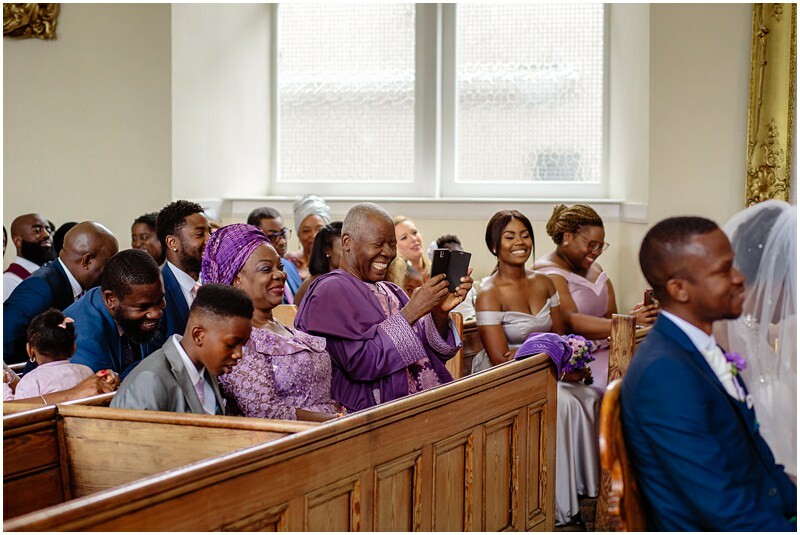 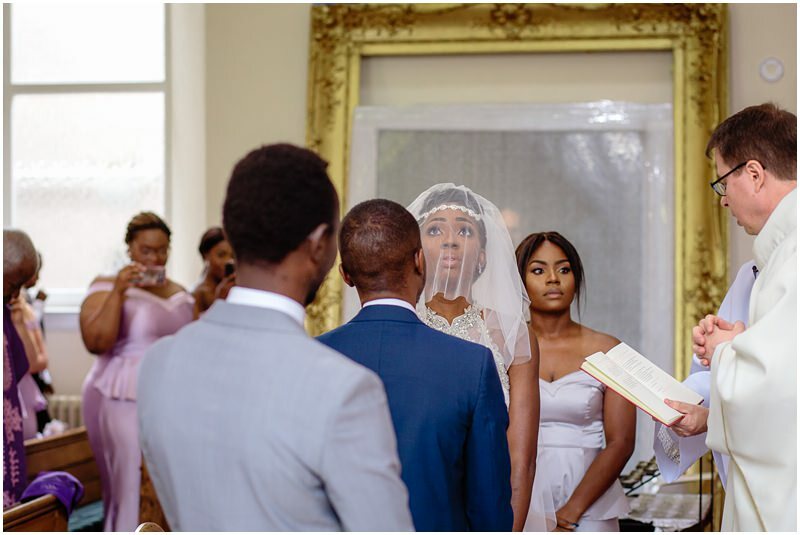 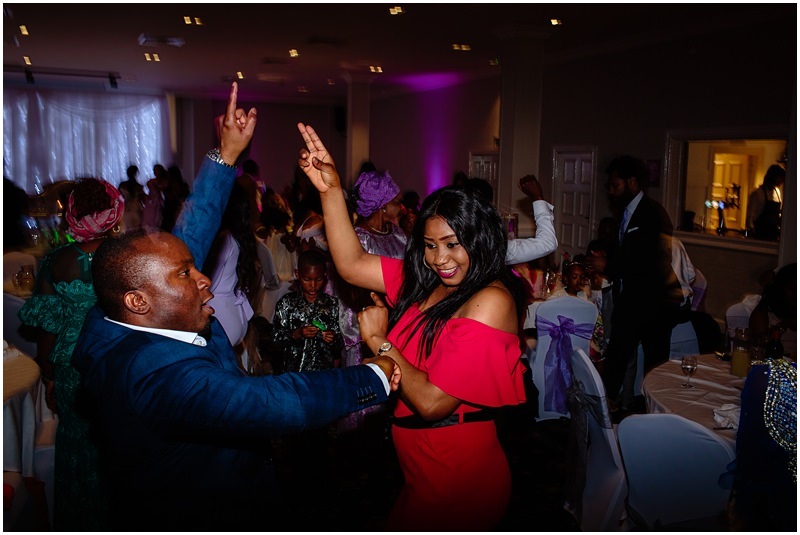 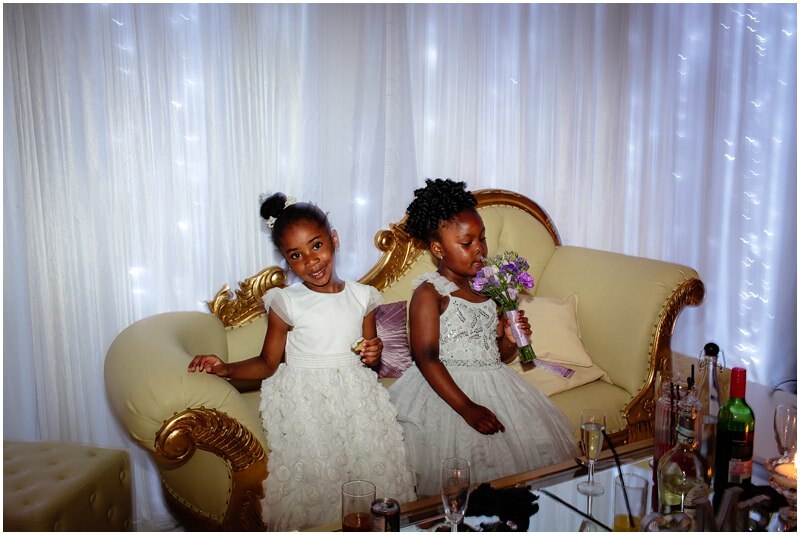 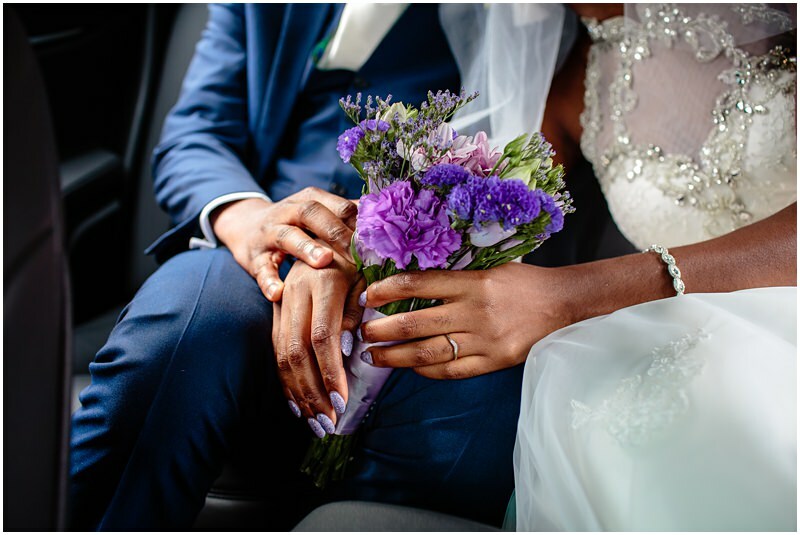 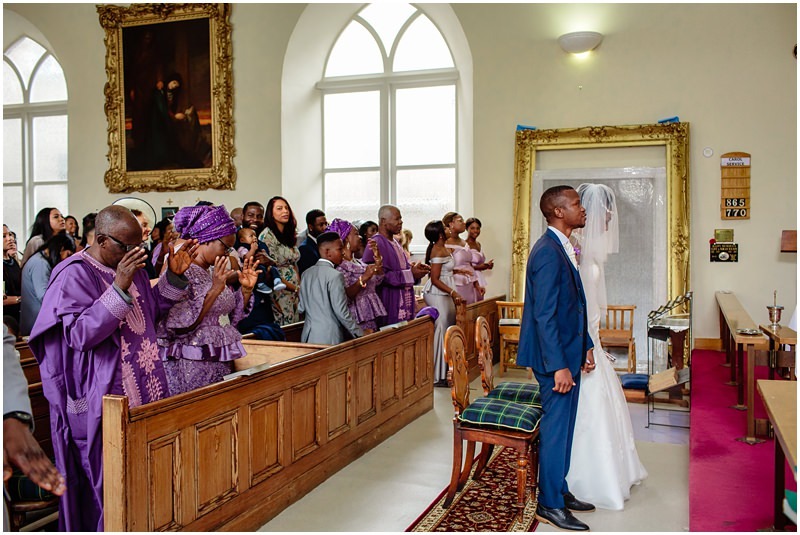 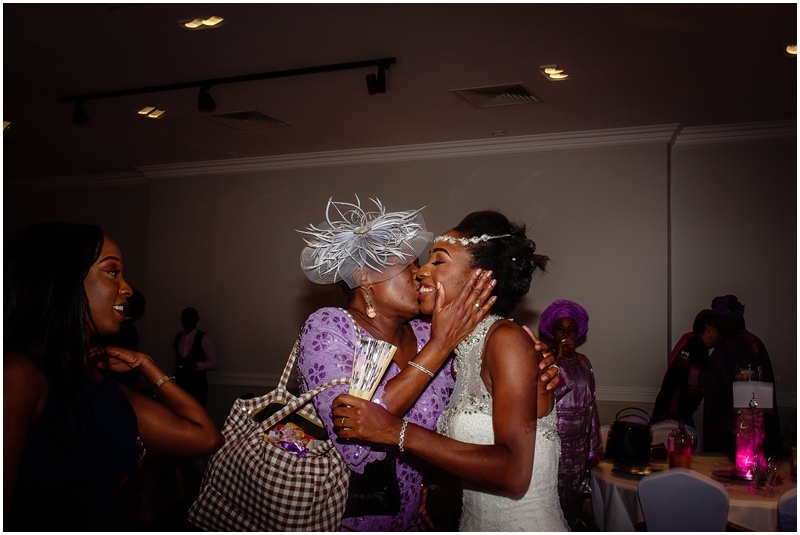 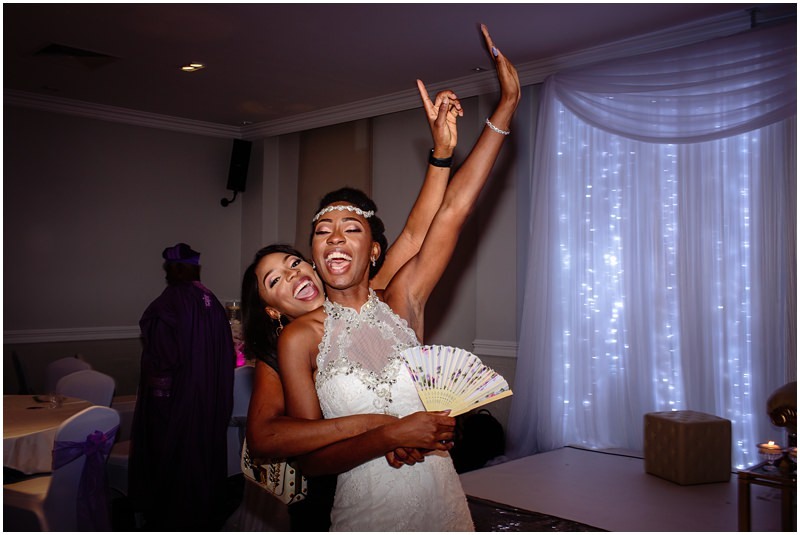 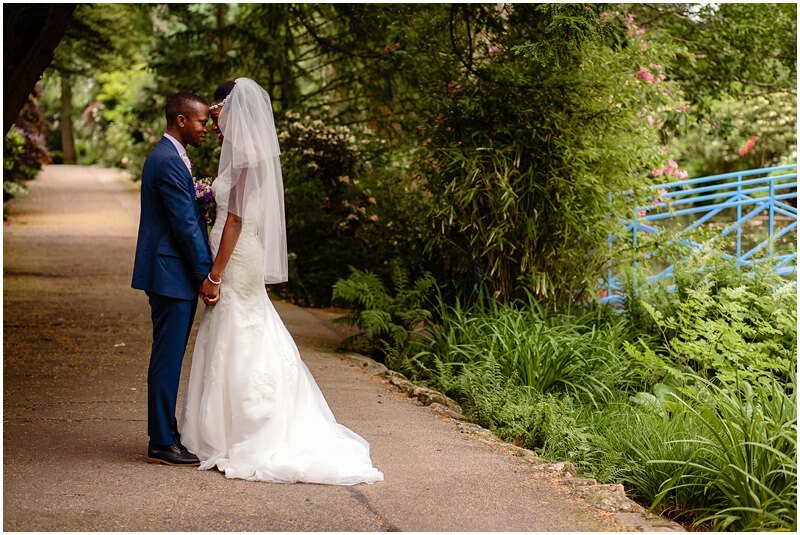 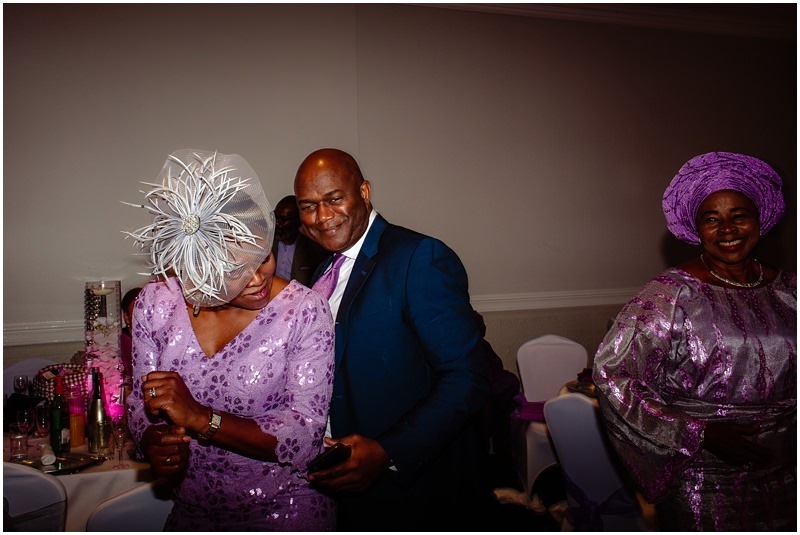 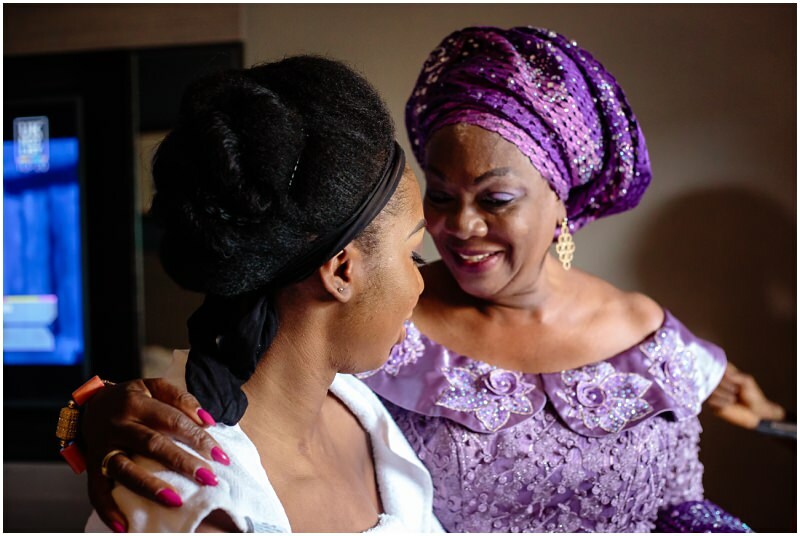 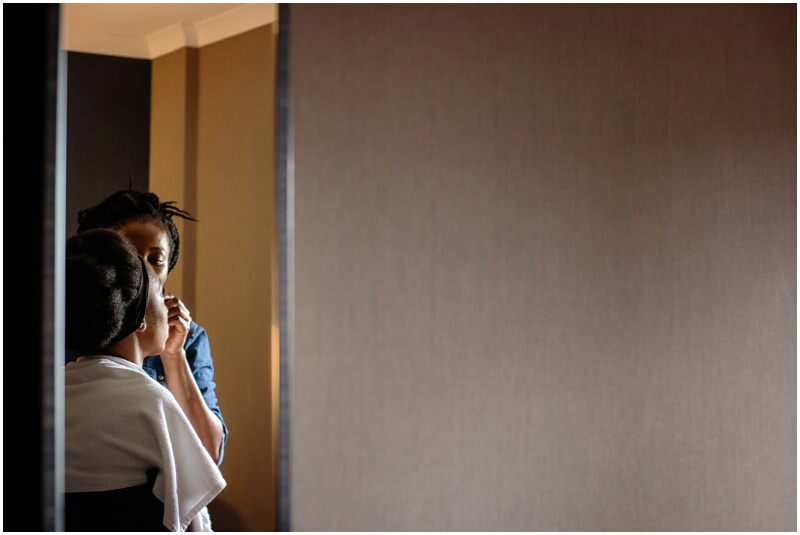 They chose the fab Copthorne Hotel in Aberdeen for their reception and due to them having had their traditional ceremony in Lagos, they had left out a lot of the traditions from this wedding. 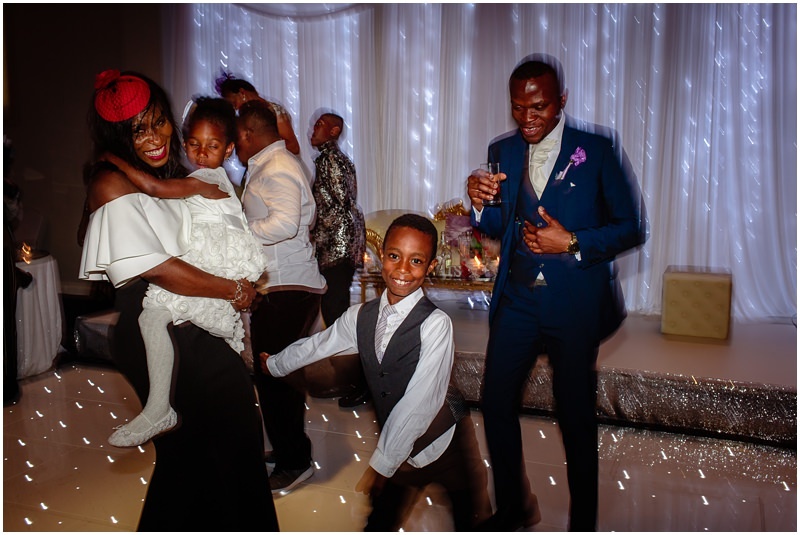 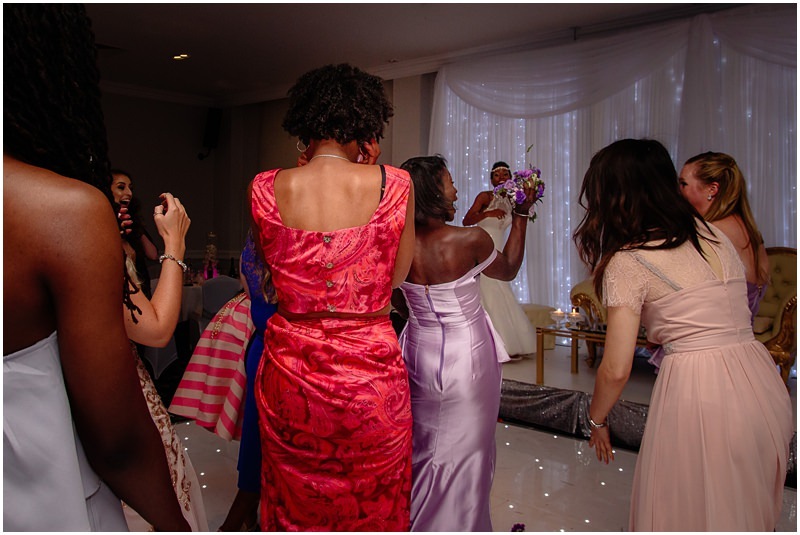 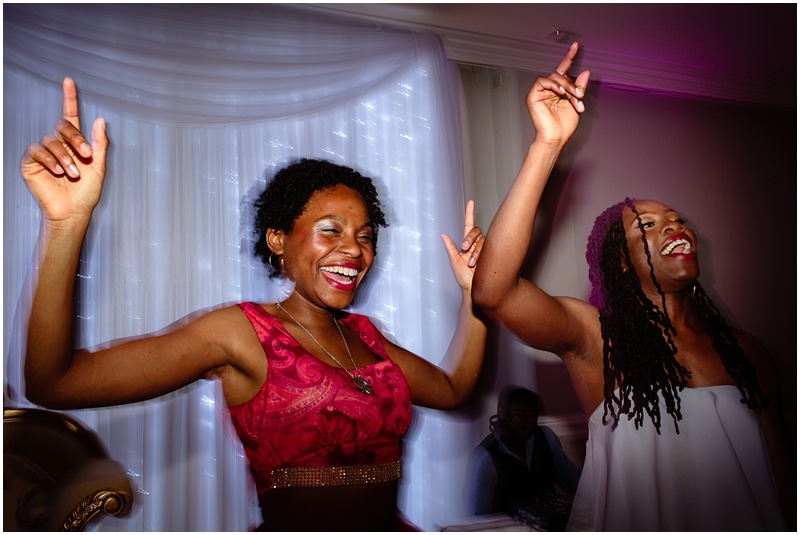 However, they did have the bridal party dance into the reception which was such a joyous moment and the atmosphere was electric. 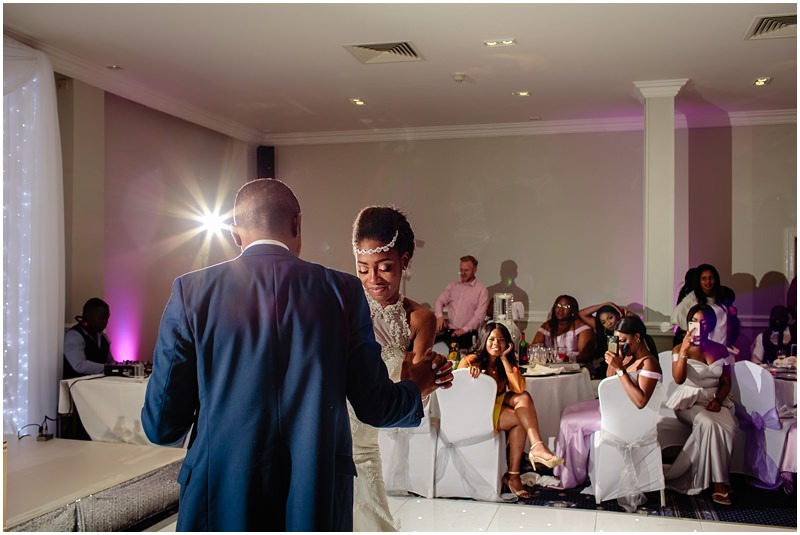 After the meal, the awesome couple had their first dance and the dancefloor didn’t empty after that. 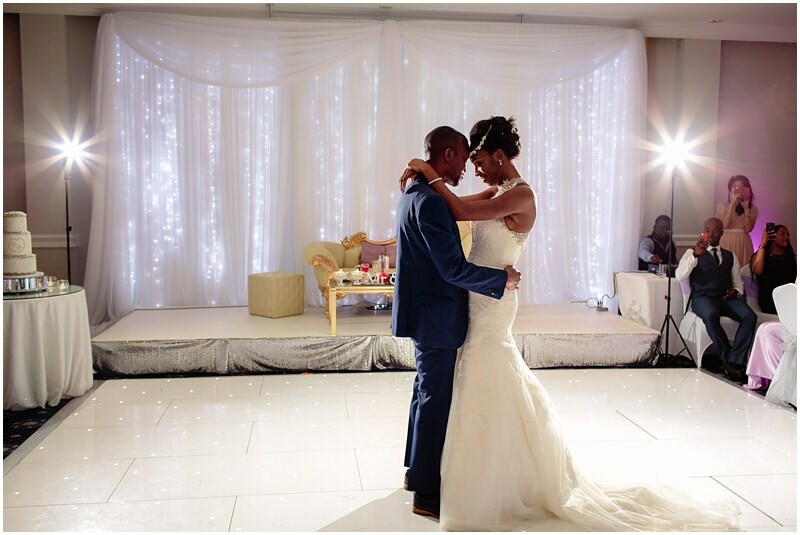 It was an unreal day of celebration and we loved being a part of it. 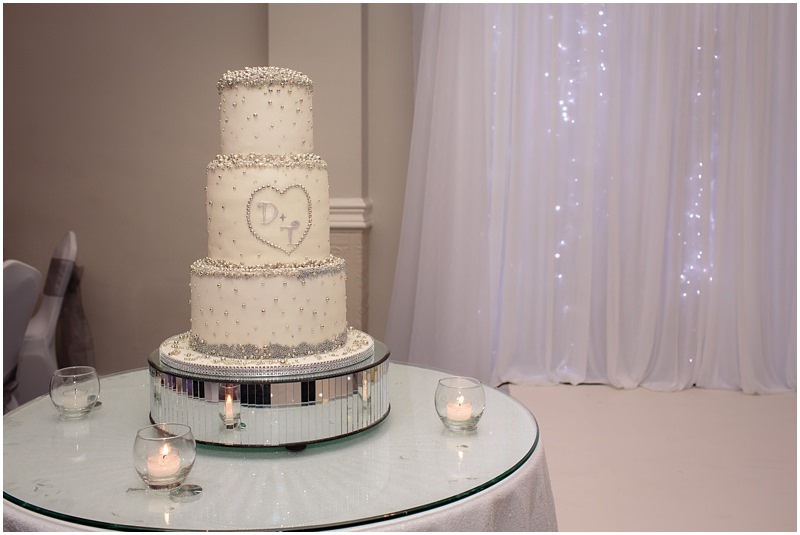 They also left us the lovely feedback above! 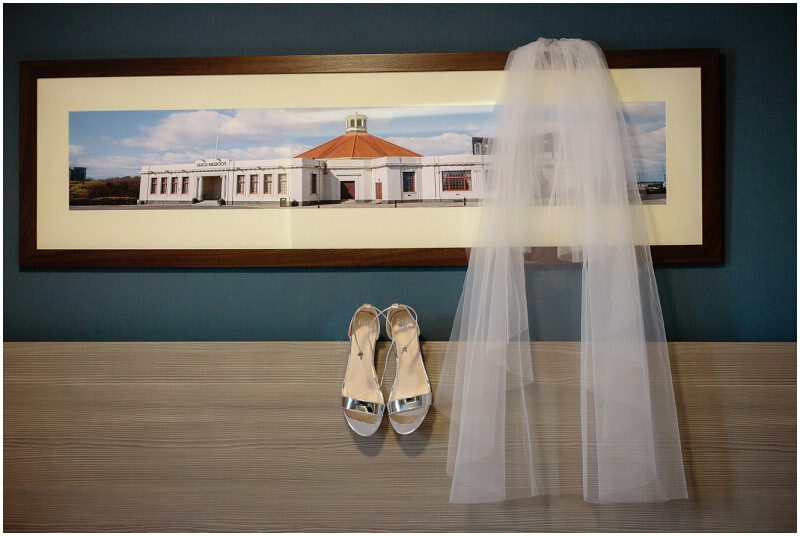 Are you having a Scottish Wedding? 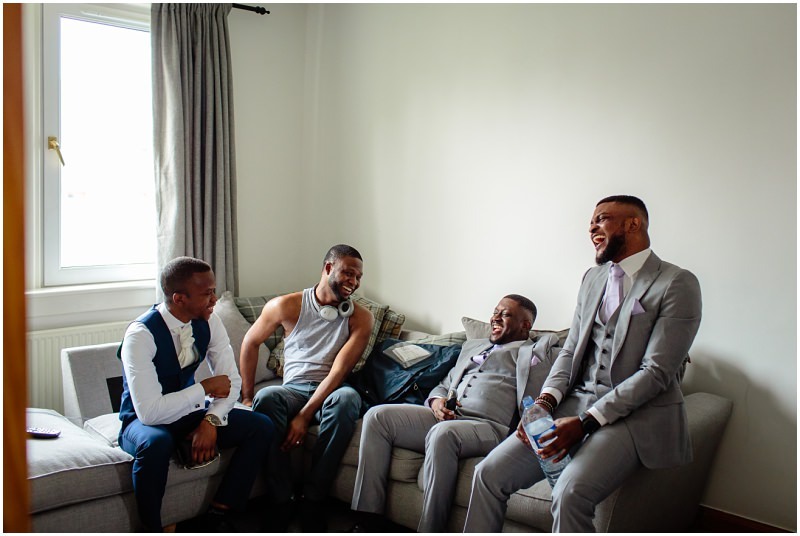 Get in touch to book a consultation and find out how we, as an alternative wedding photographer, can capture your wedding day love & laughter!